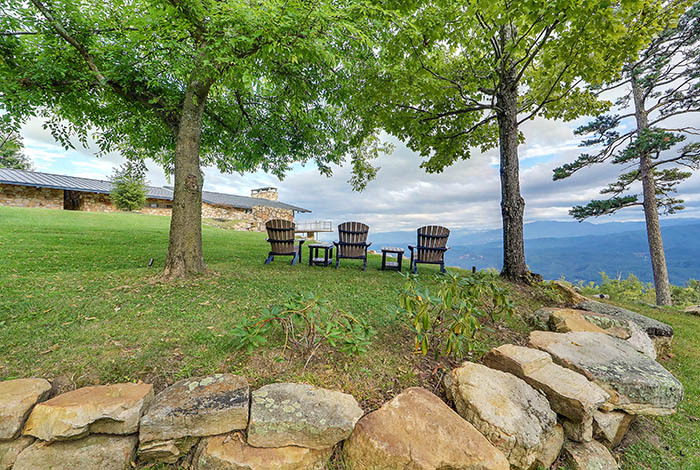 "Top Of The World Estate" is simply beyond description. 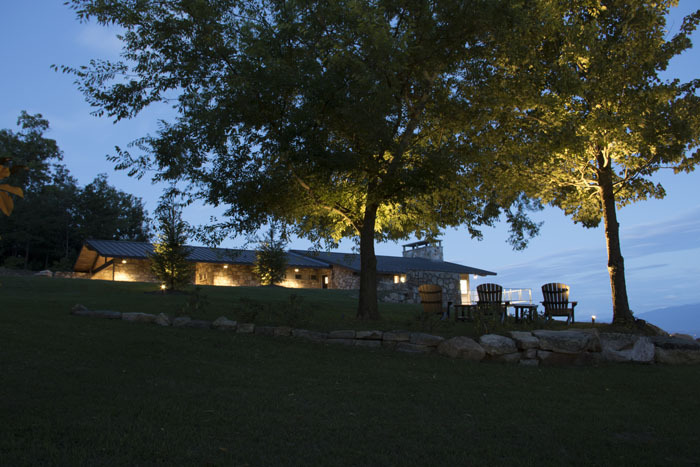 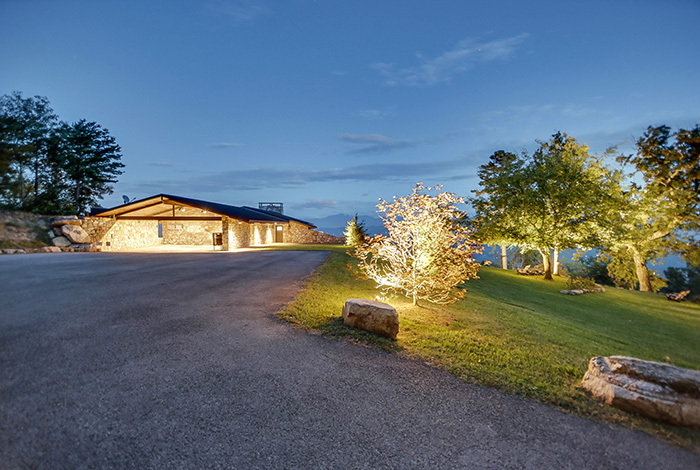 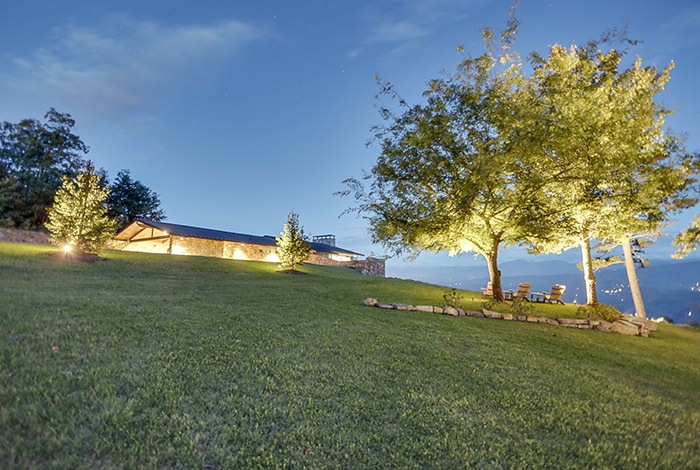 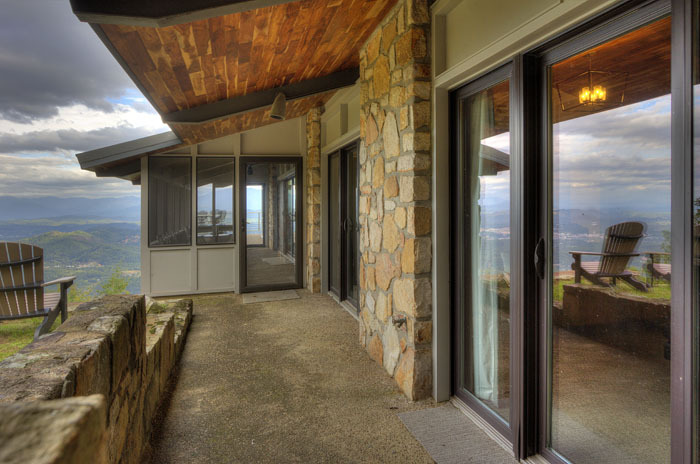 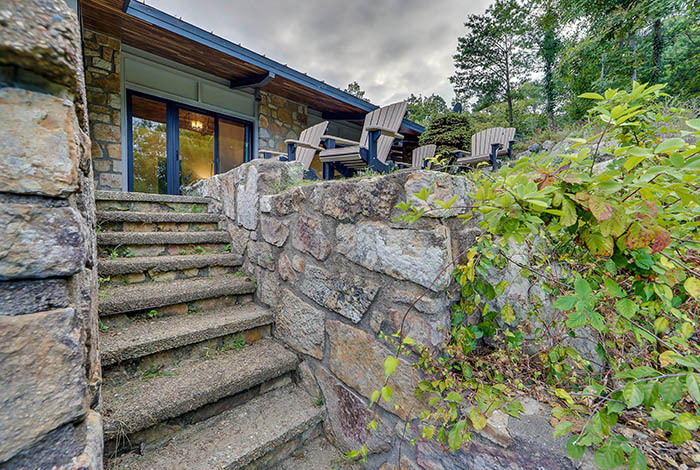 As you meander your way thru the private gated entrance, you and your guests will feel like royalty as you enter this private, mountaintop estate. 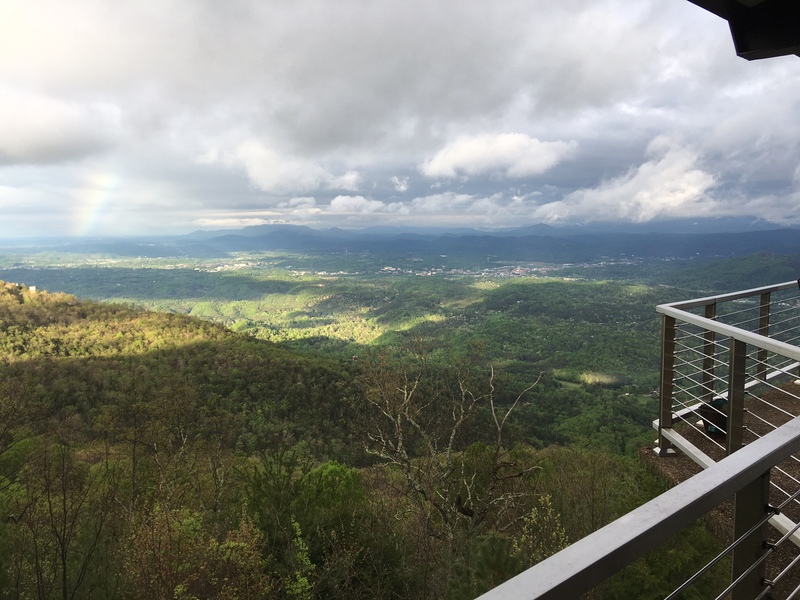 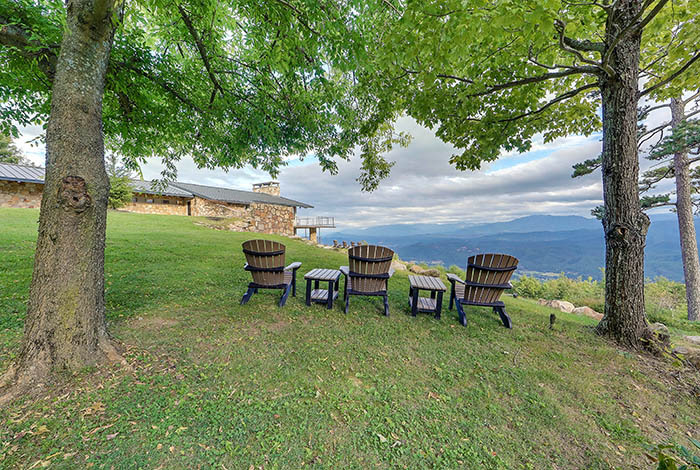 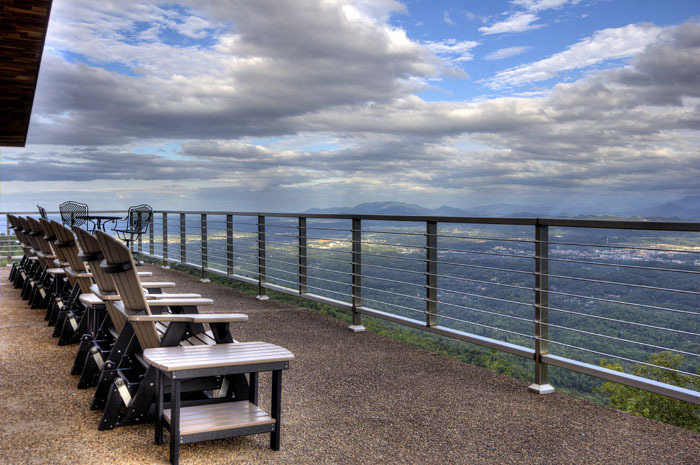 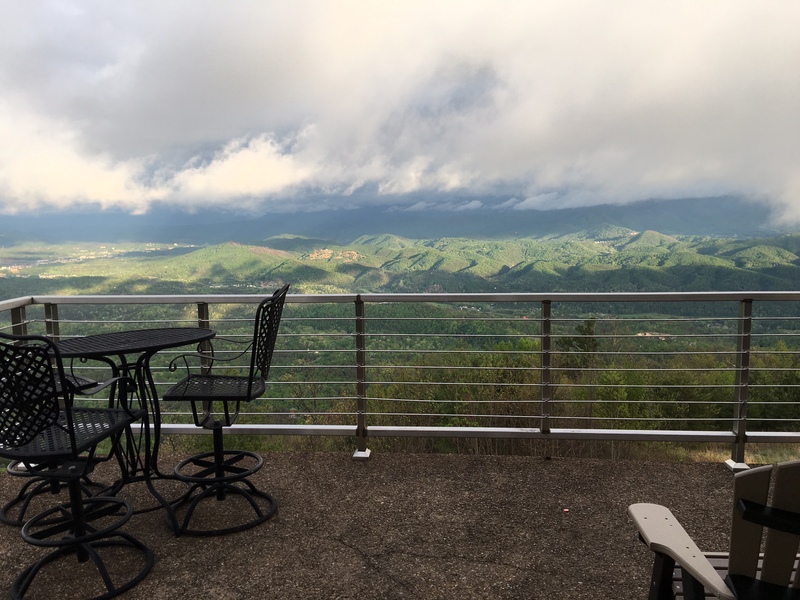 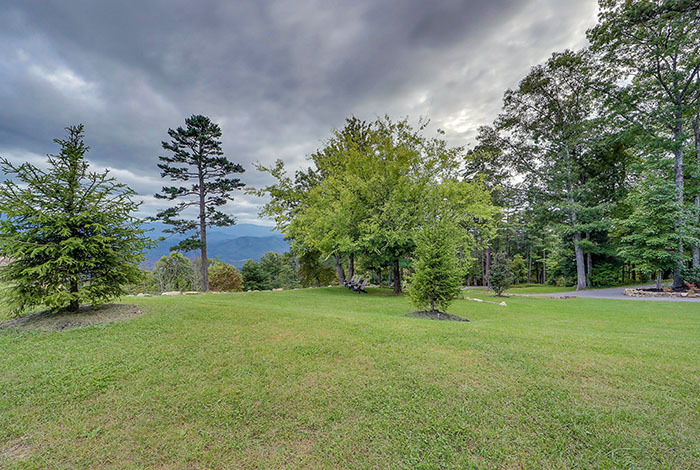 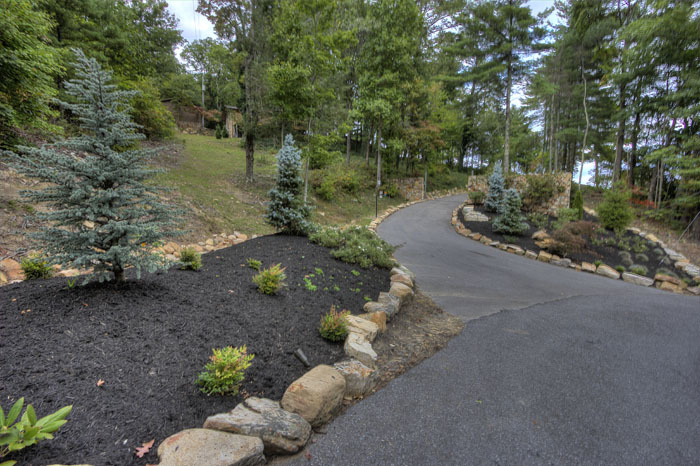 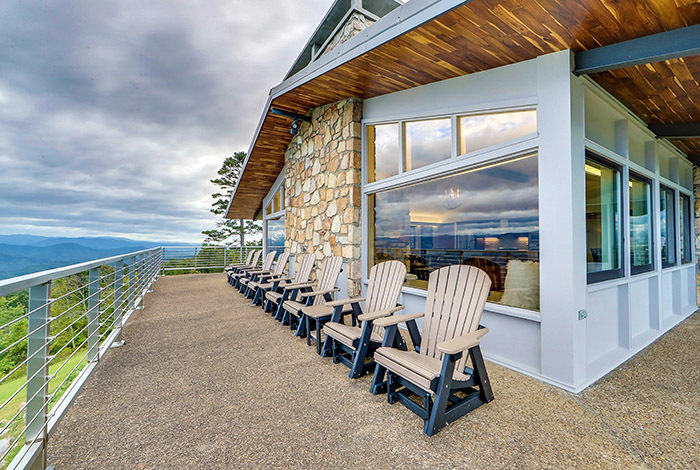 Perched at the very top of Bluff Mountain- one of the most recognizable locations in all of Pigeon Forge, this sprawling Estate will leave you breathless. 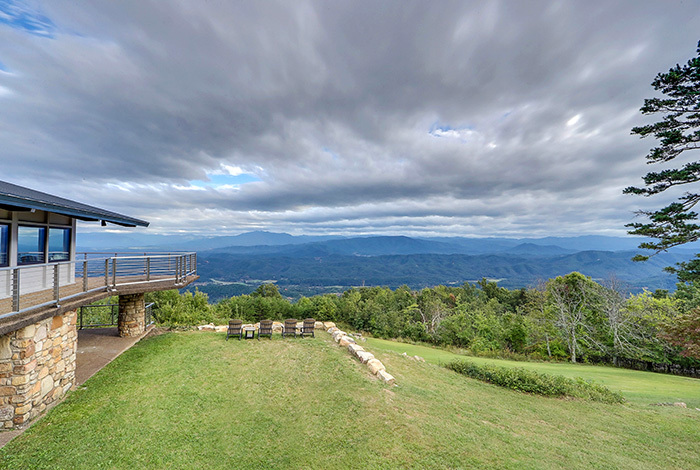 Offering indescribable views that span over 100 miles in many directions, this private estate offers some of the most jaw-dropping views of any residence in the entire Southeastern United States. 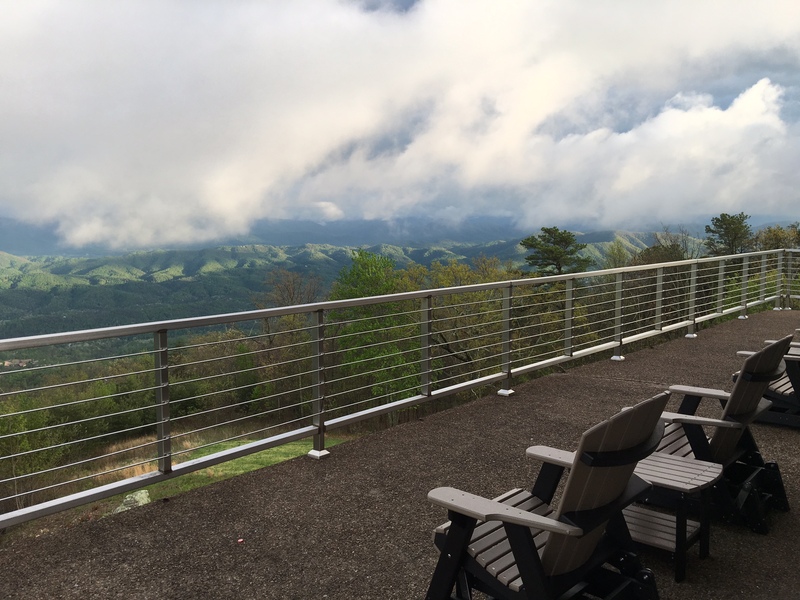 From the deck you can see 4 states- Virginia, Kentucky, Tennessee, and North Carolina! 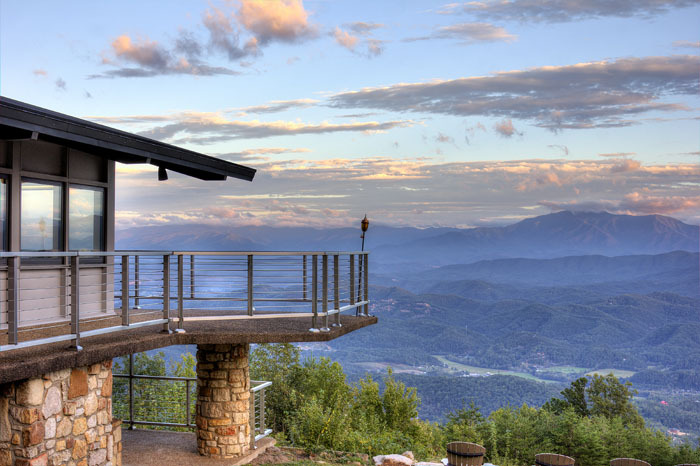 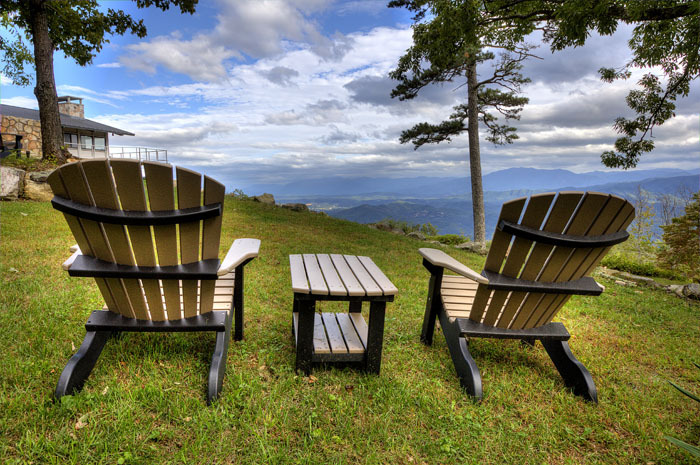 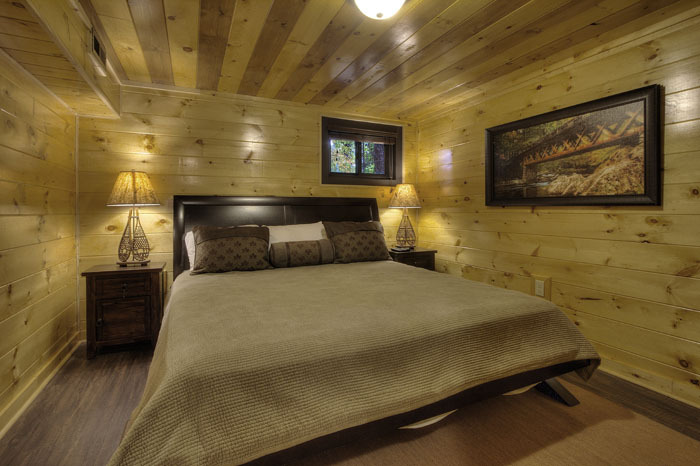 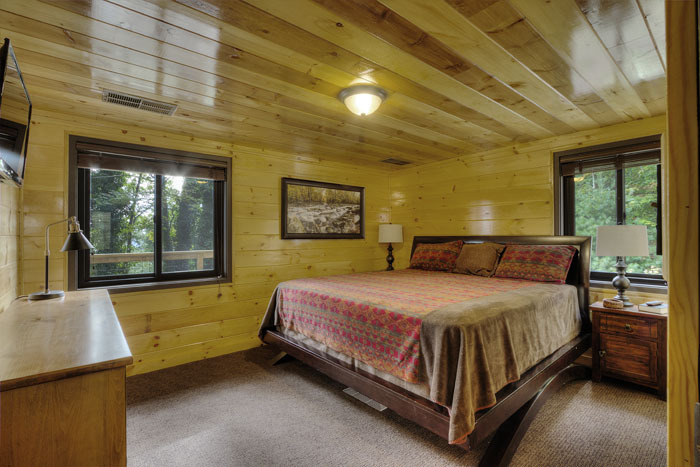 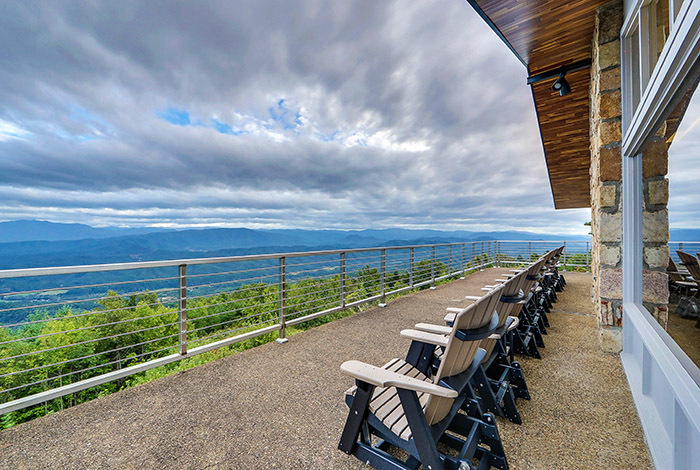 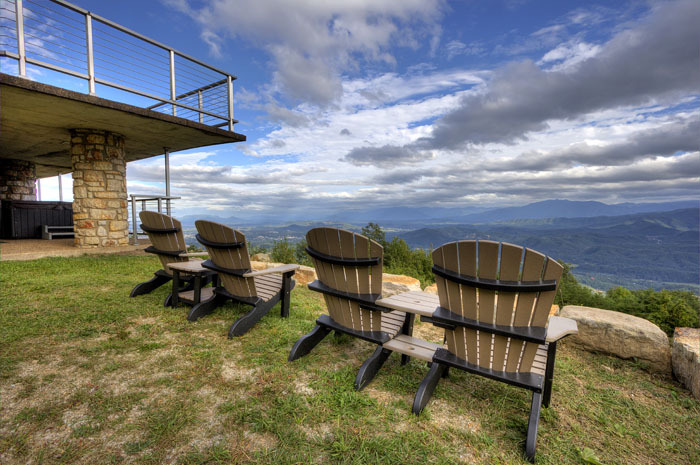 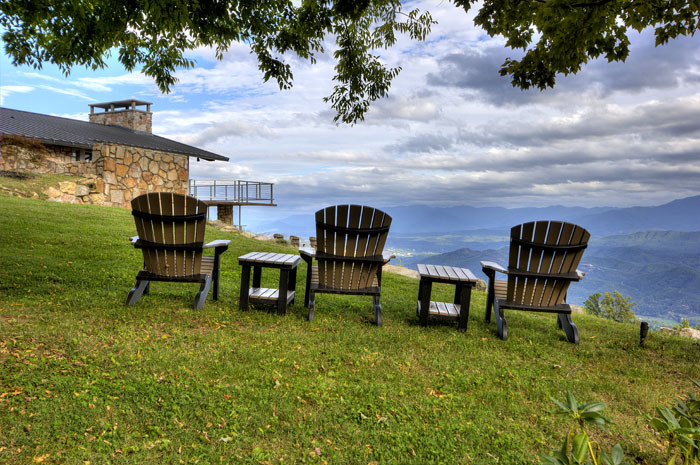 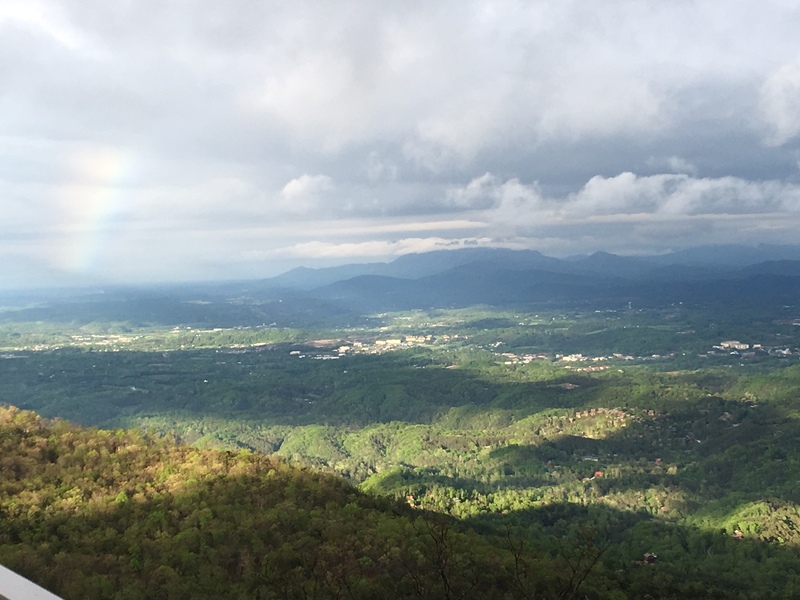 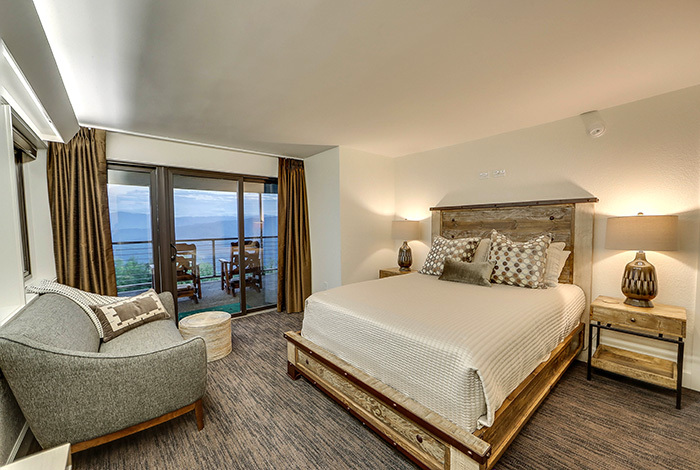 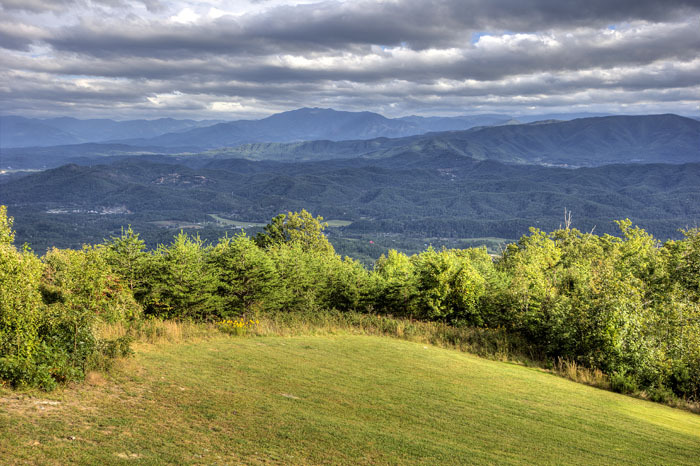 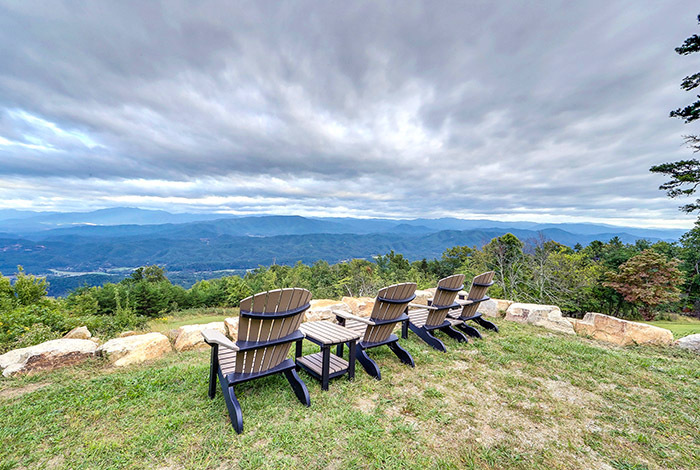 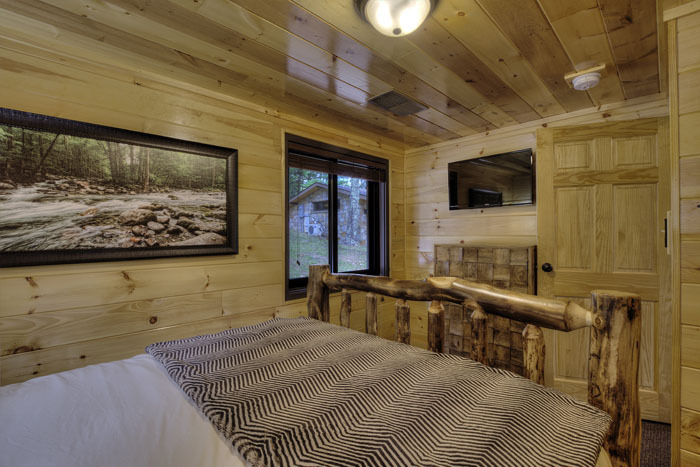 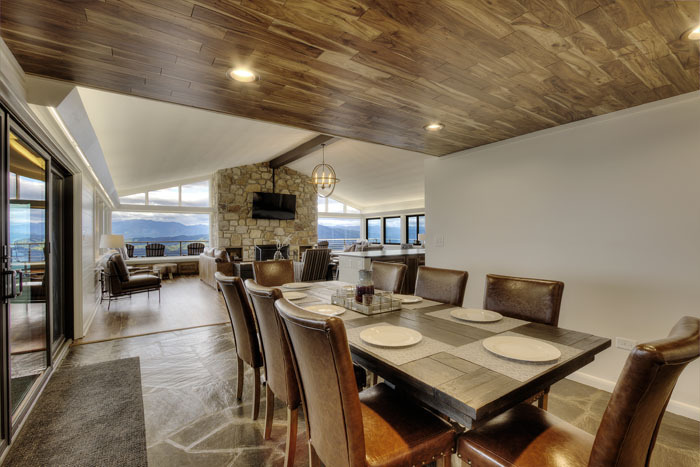 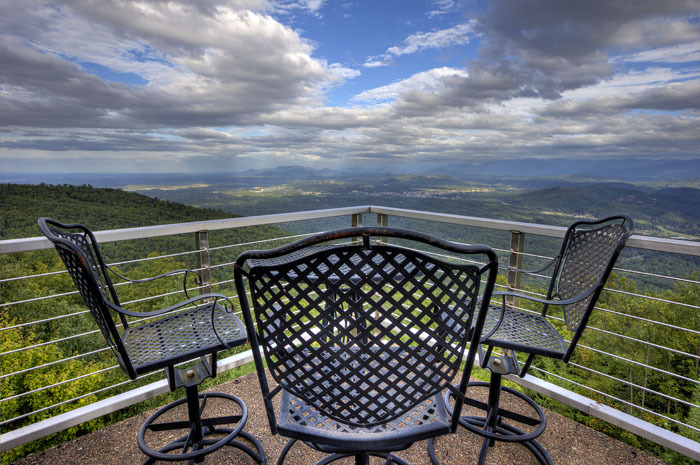 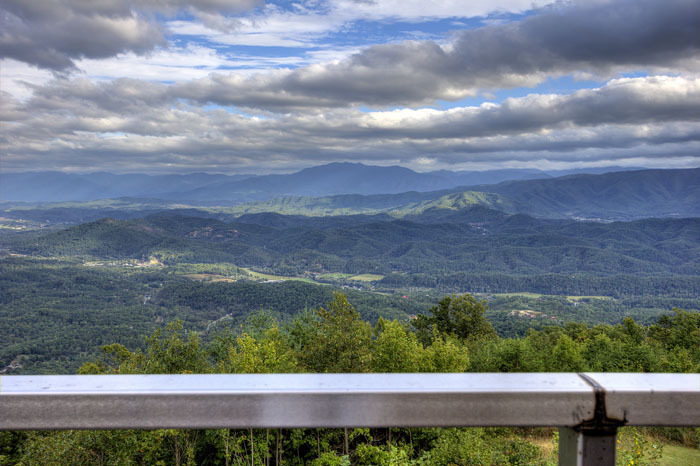 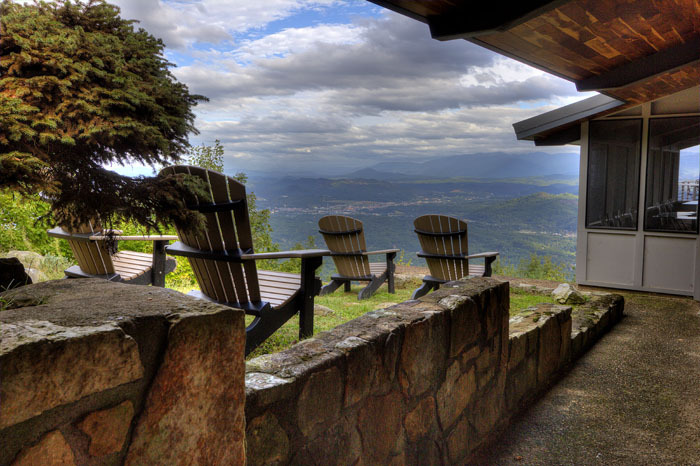 You will be awe-struck with the panoramic, long-range views of The Great Smoky Mountains National Park: including prominent peaks like Clingman's Dome, Mt. 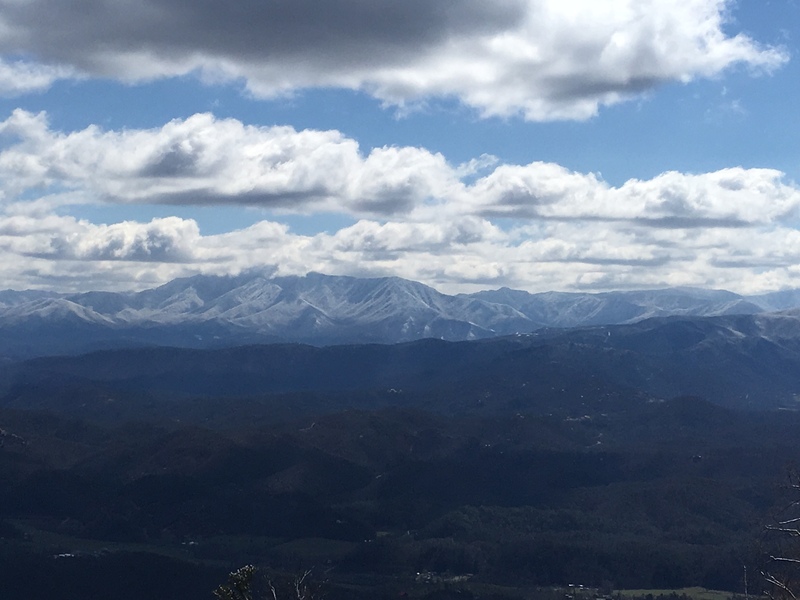 Leconte, Andrew's Bald, Greenbriar Pinnacle, and Newfound Gap. 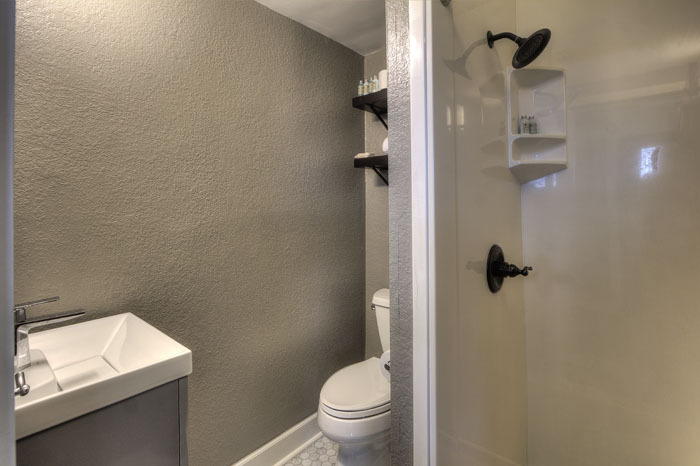 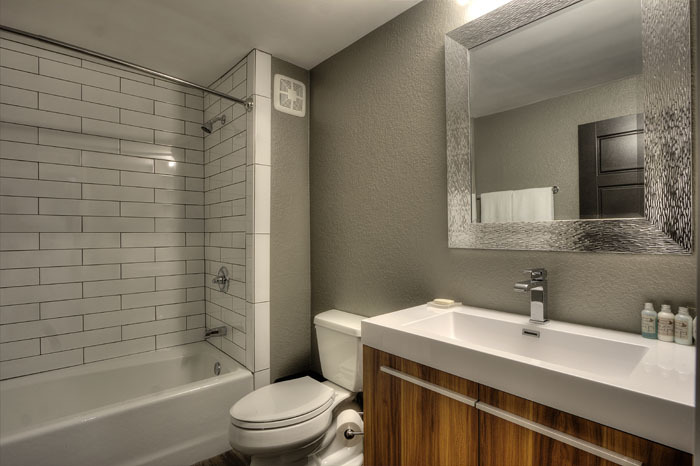 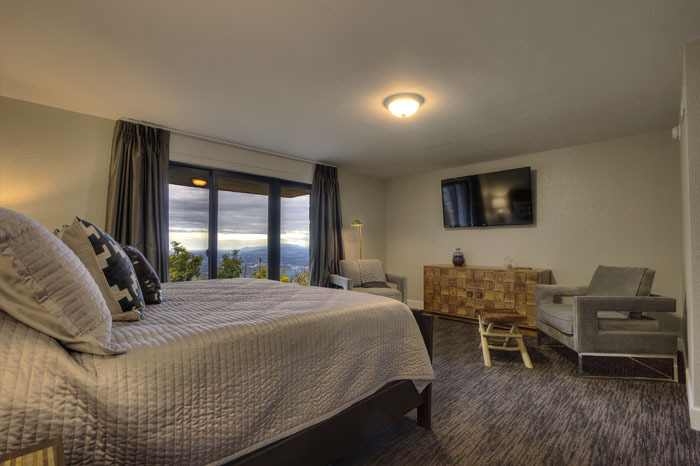 Recently remodeled and renovated to exacting standards, this Iconic local landmark is now available for your total enjoyment. 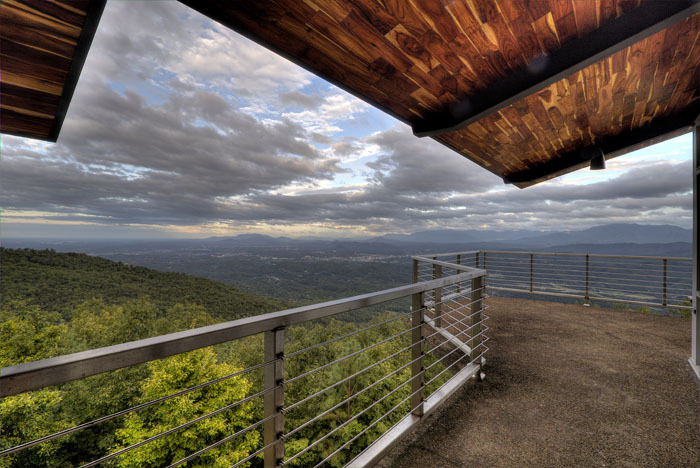 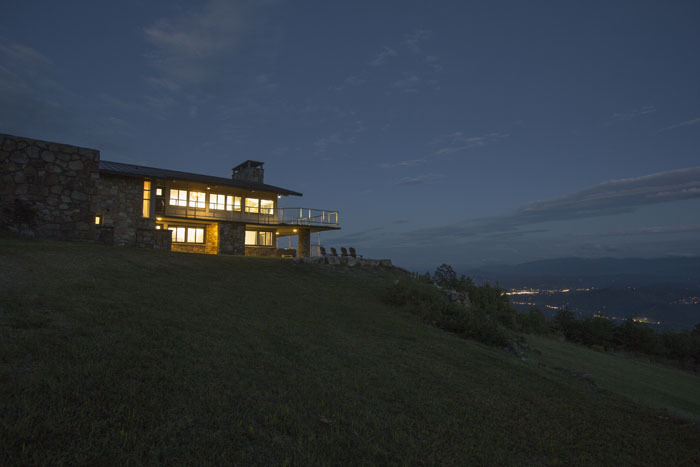 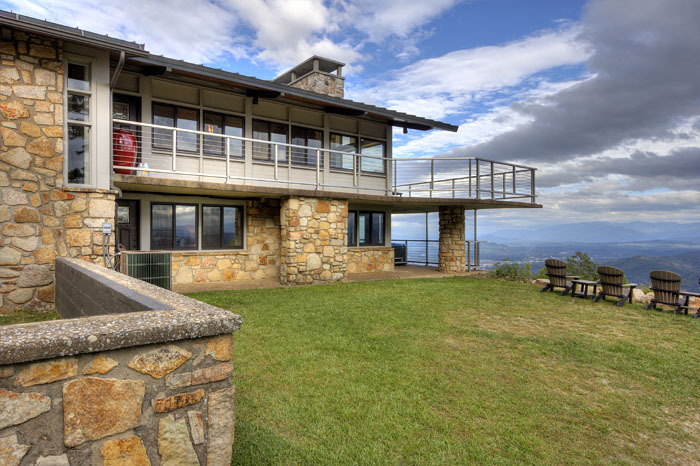 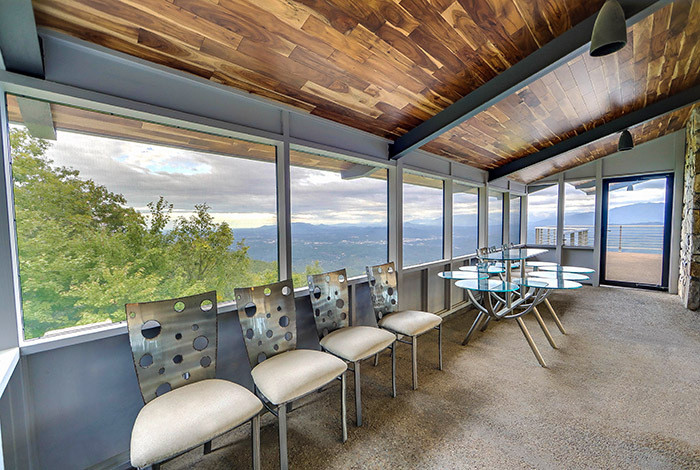 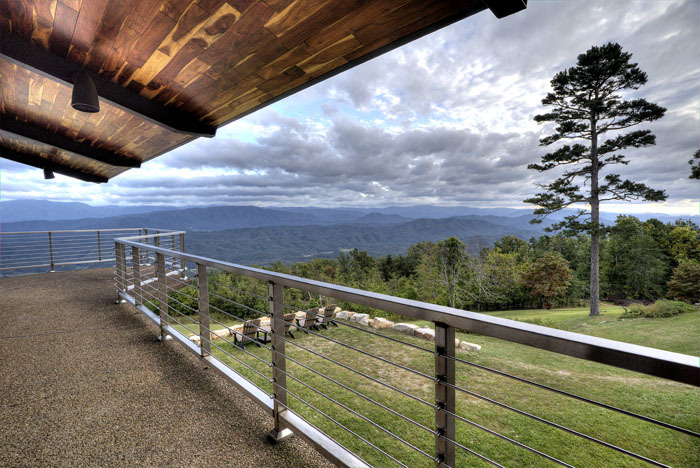 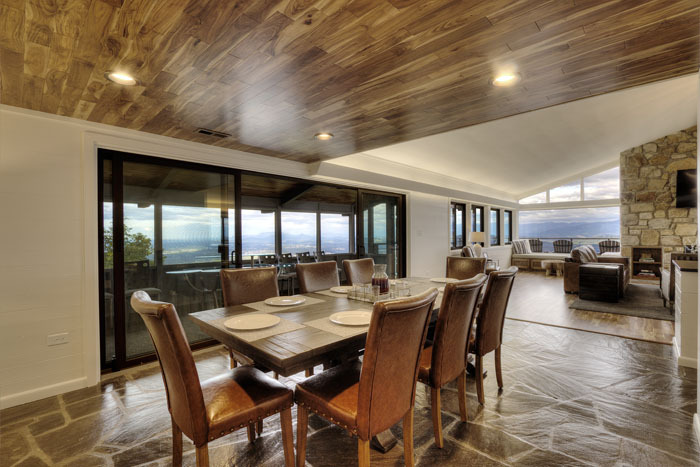 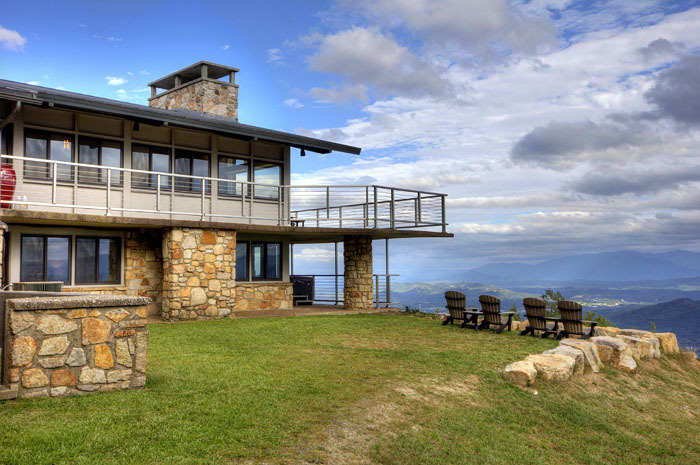 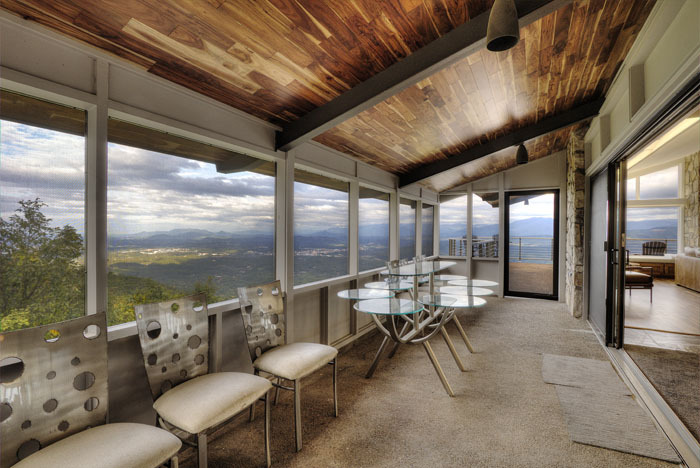 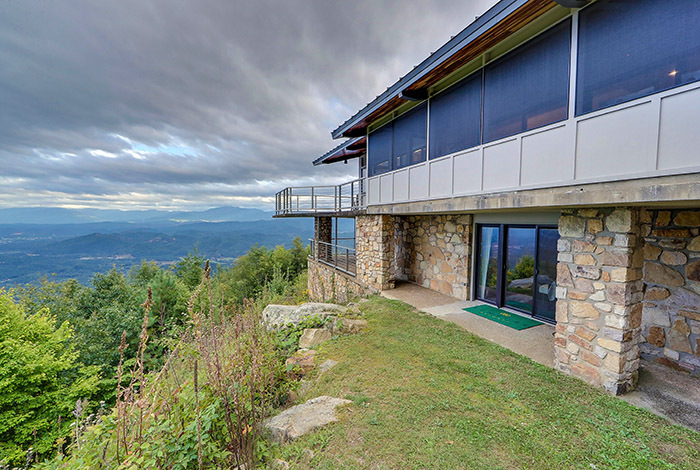 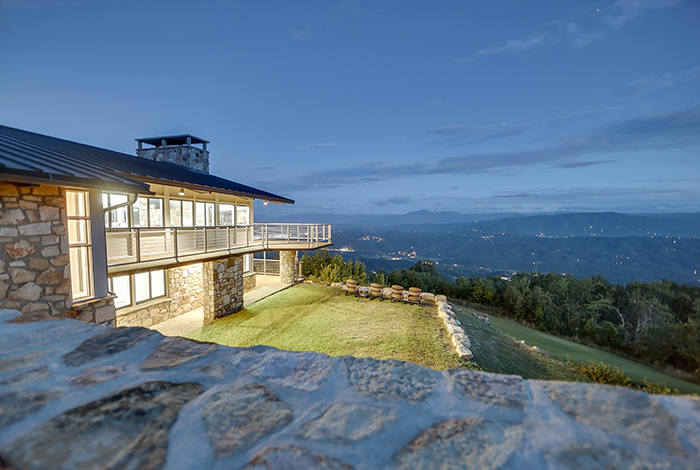 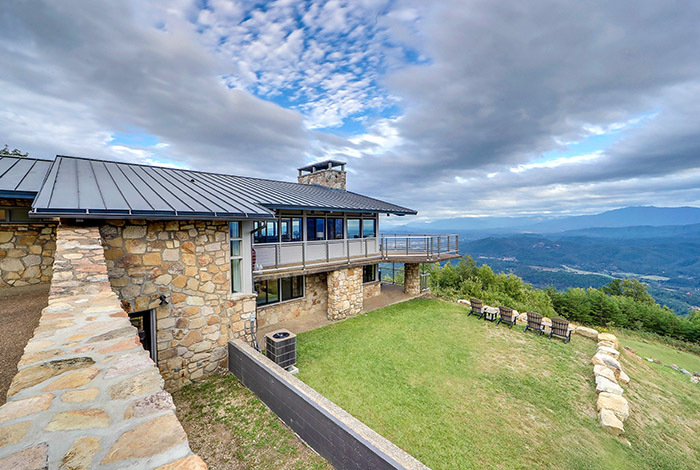 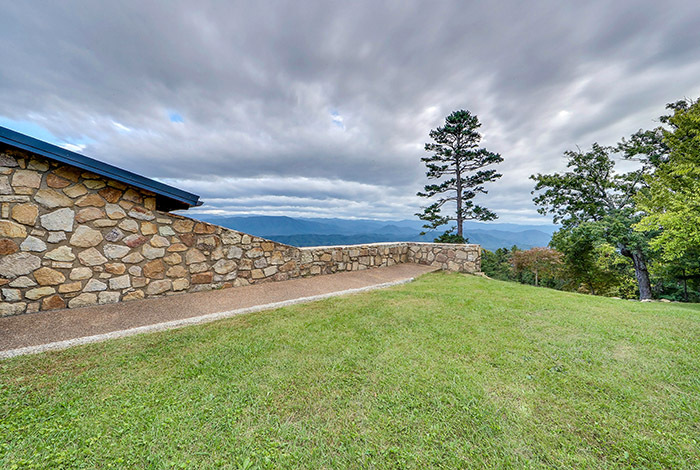 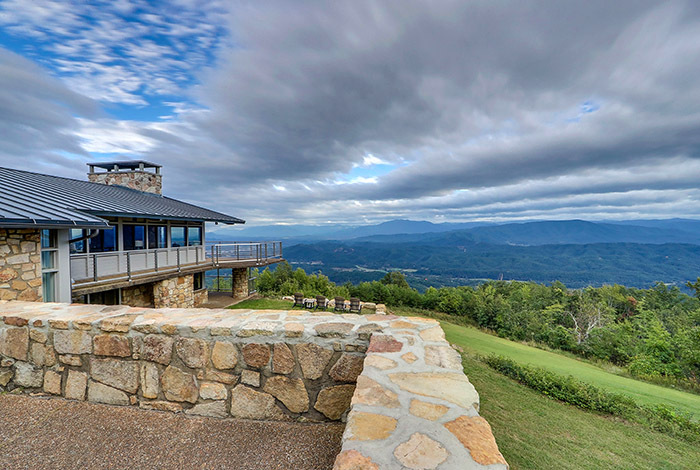 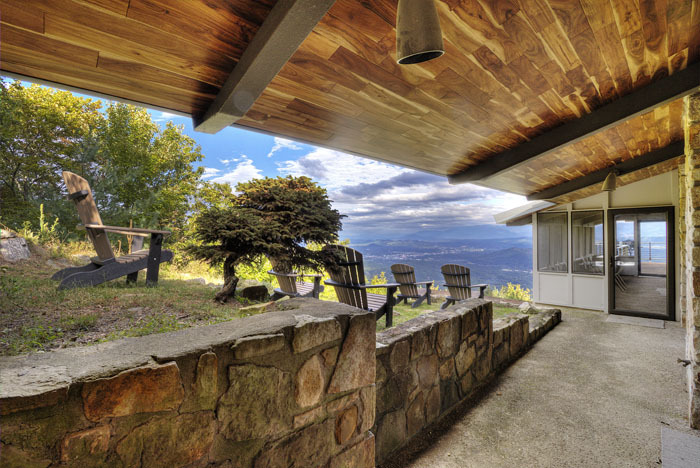 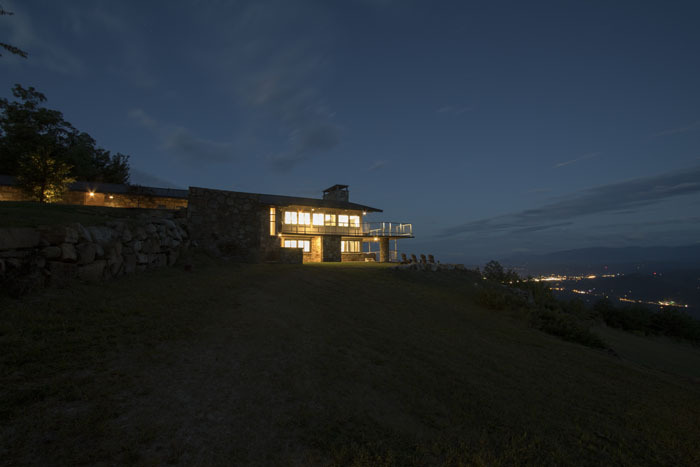 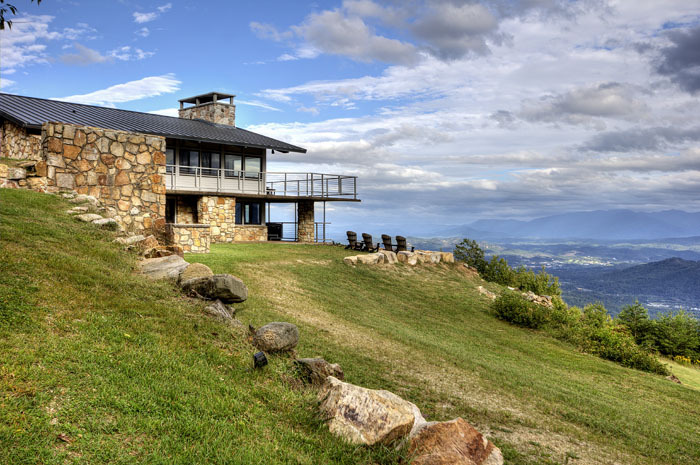 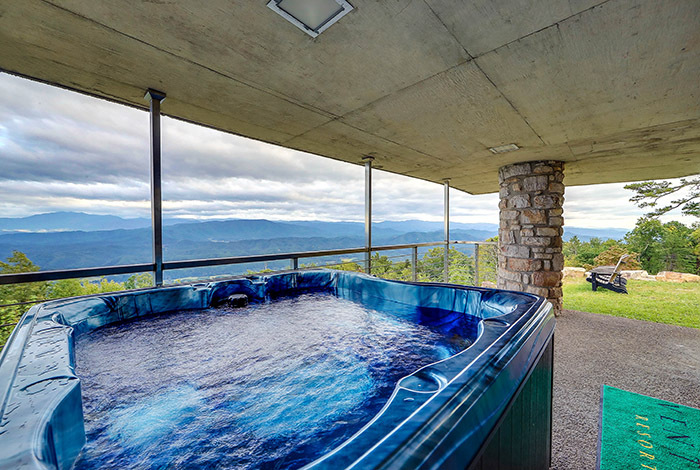 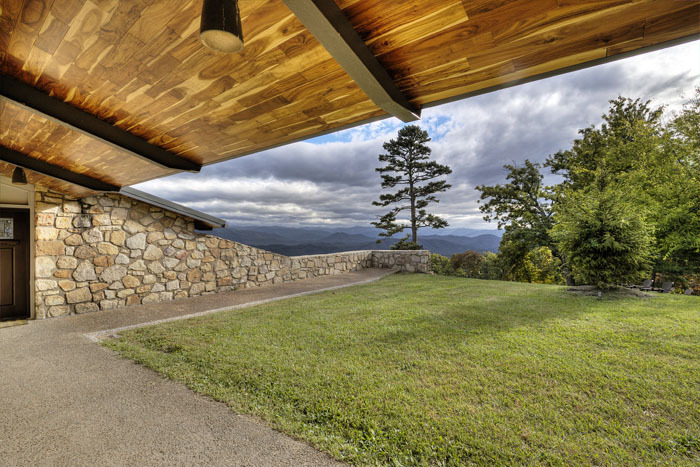 This unique mountaintop estate took over 3 years to build, and was designed by world-renowned architect Hubert Bebb, who's famous work includes The World's Fair Tower in Knoxville & The Clingman's Dome Overlook in The Great Smoky Mountains National Park. 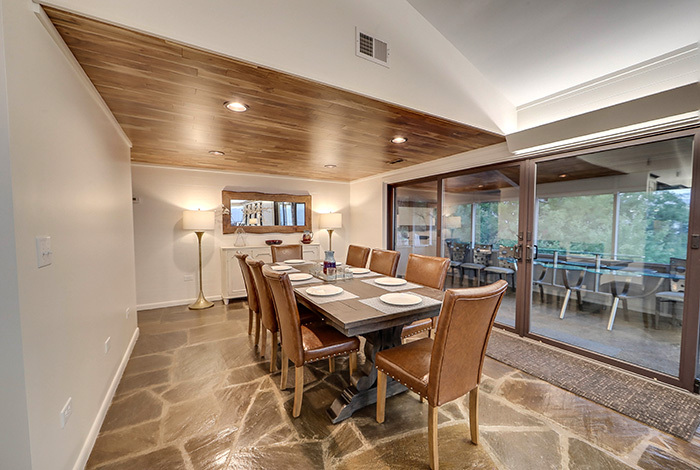 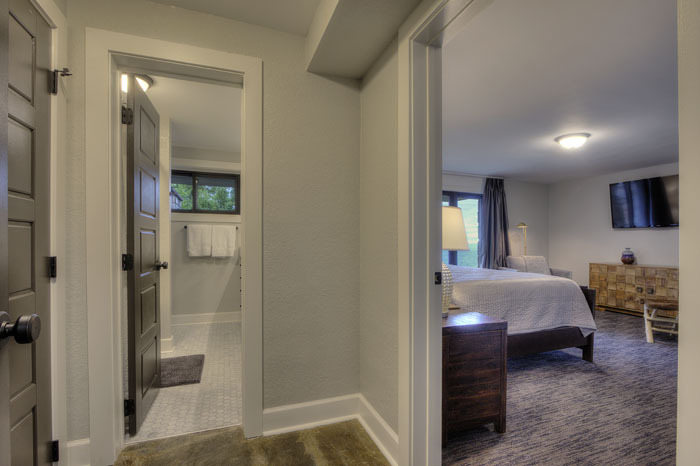 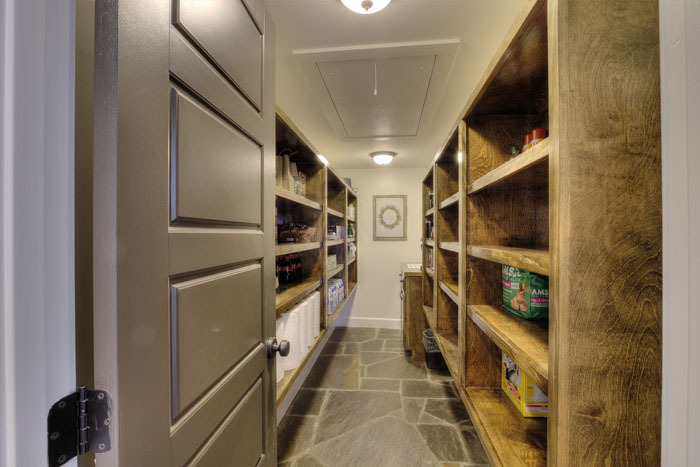 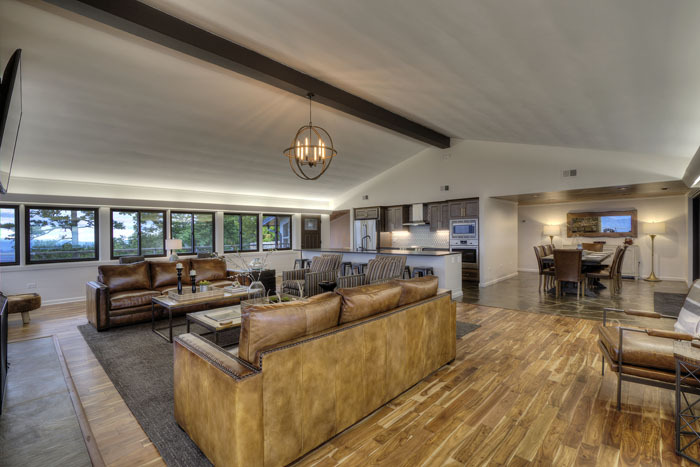 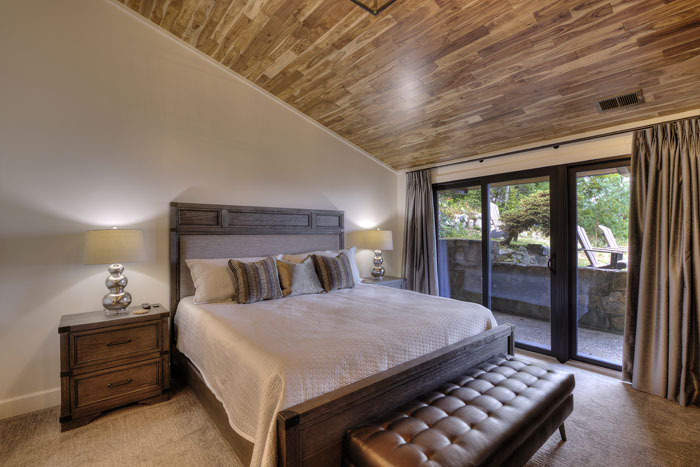 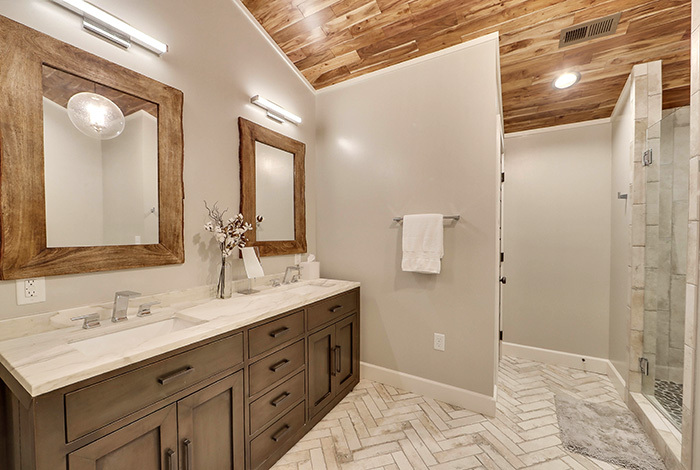 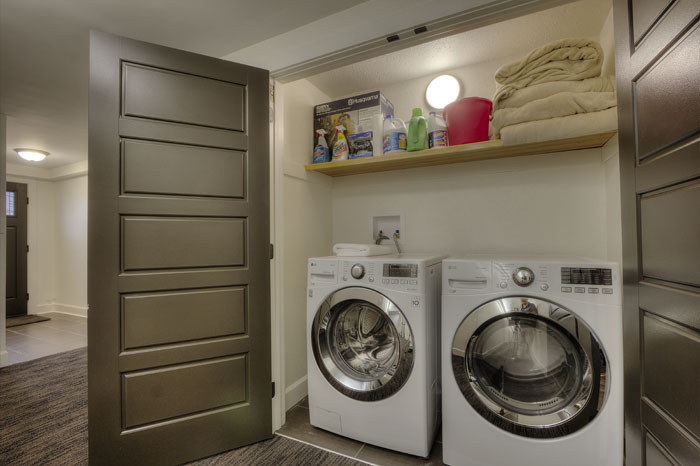 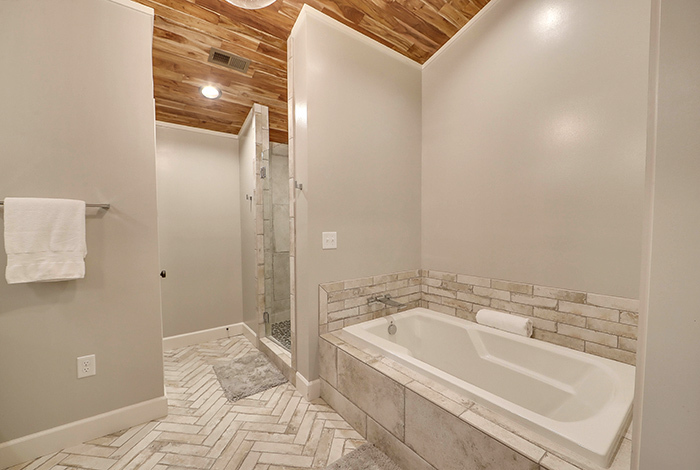 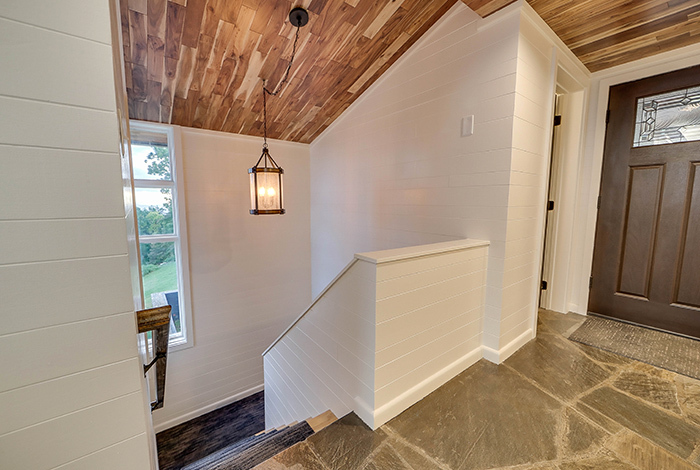 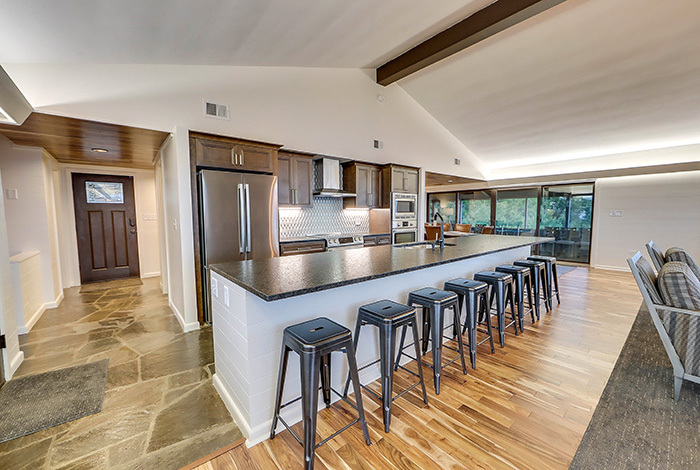 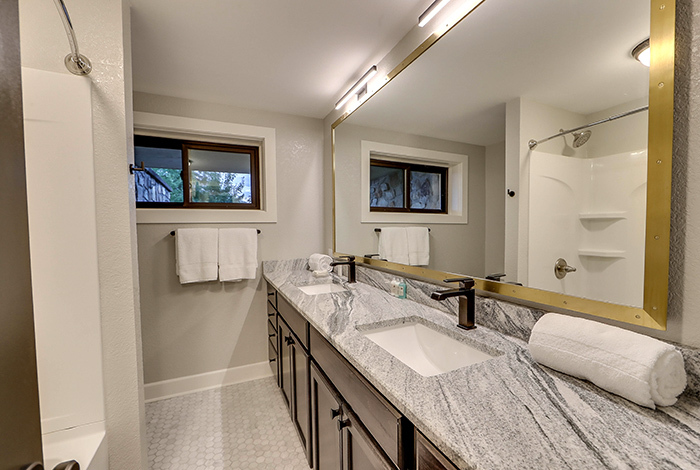 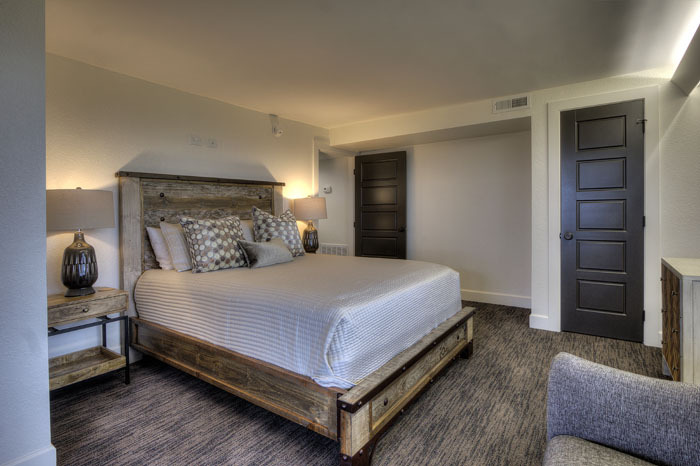 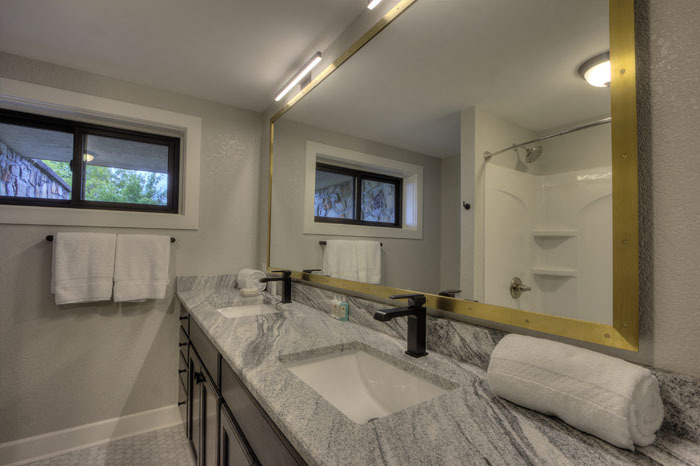 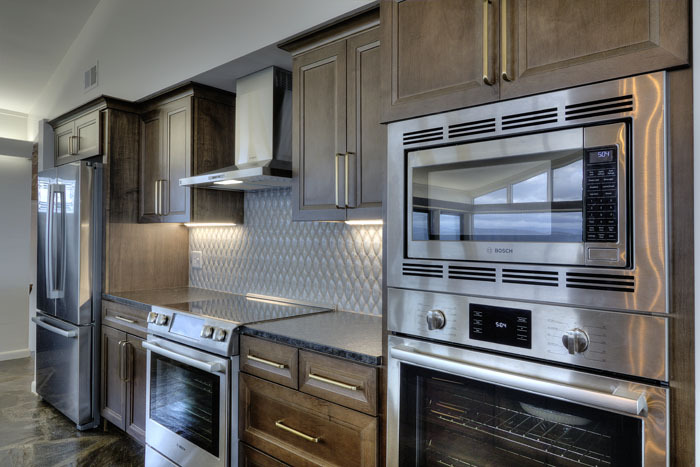 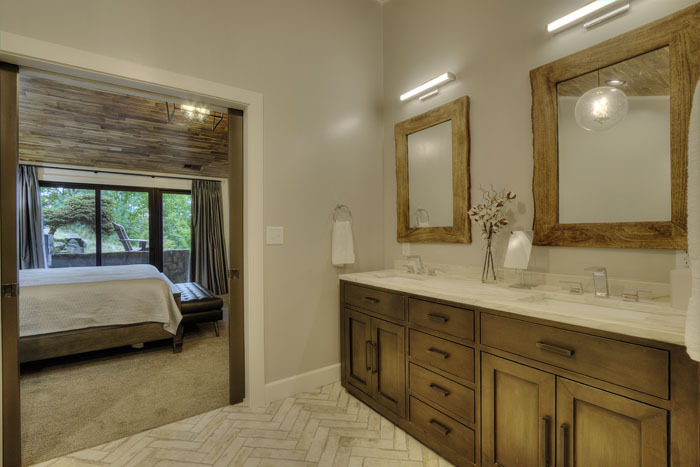 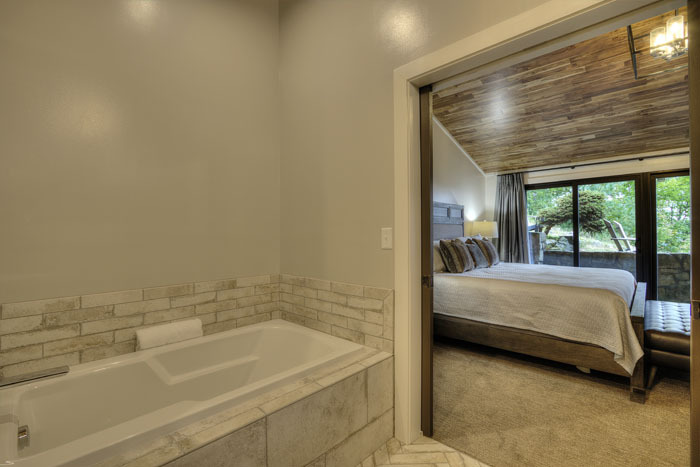 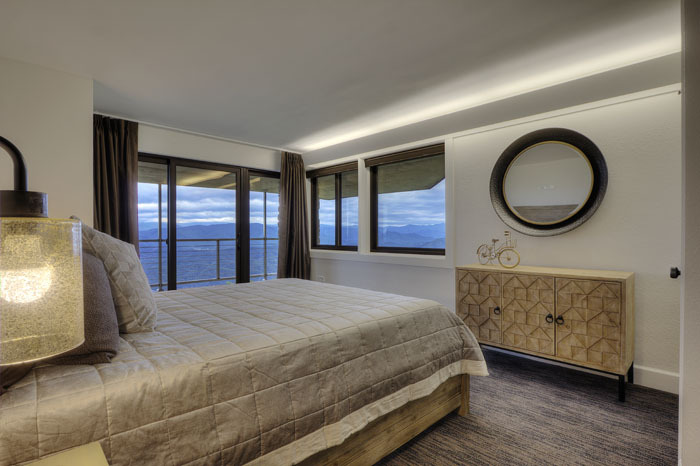 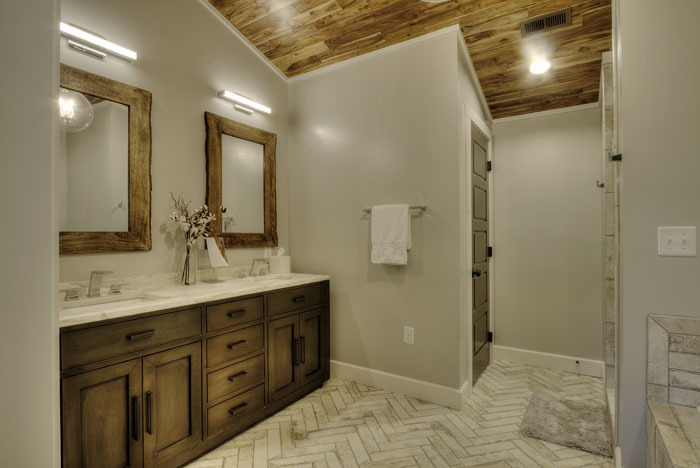 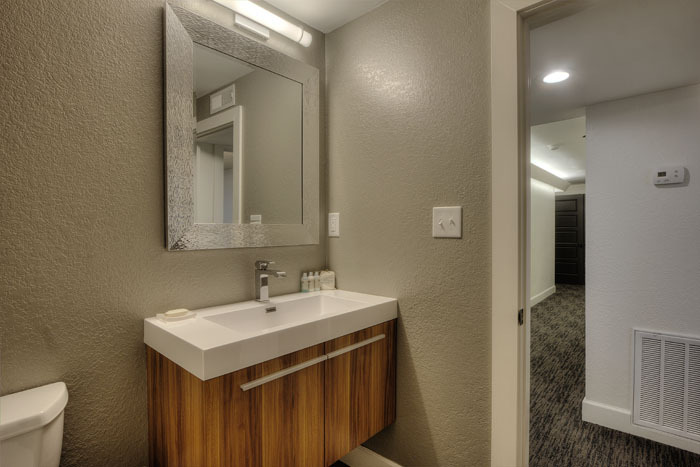 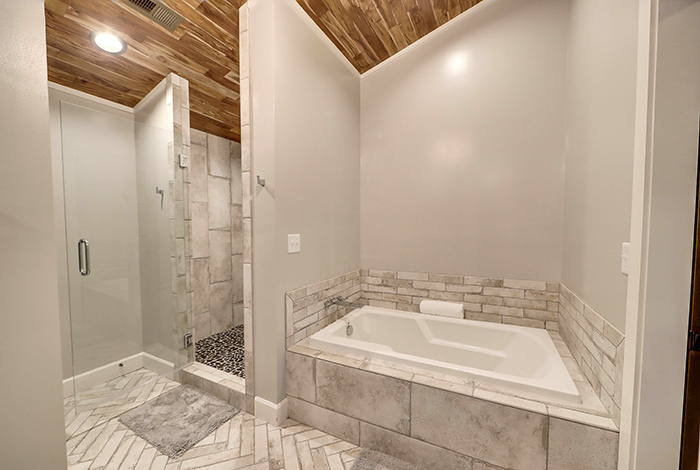 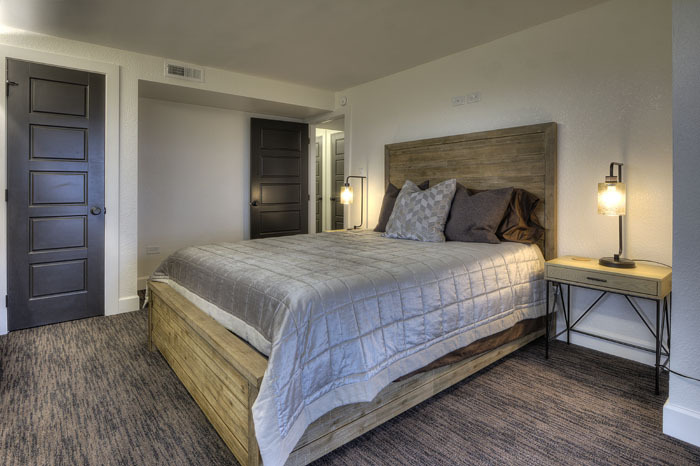 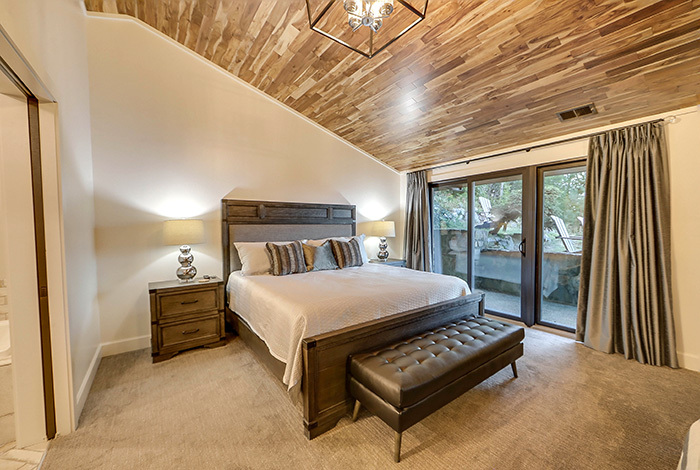 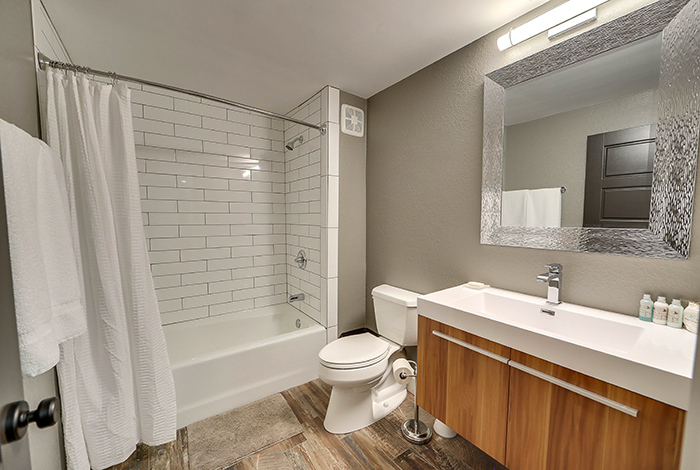 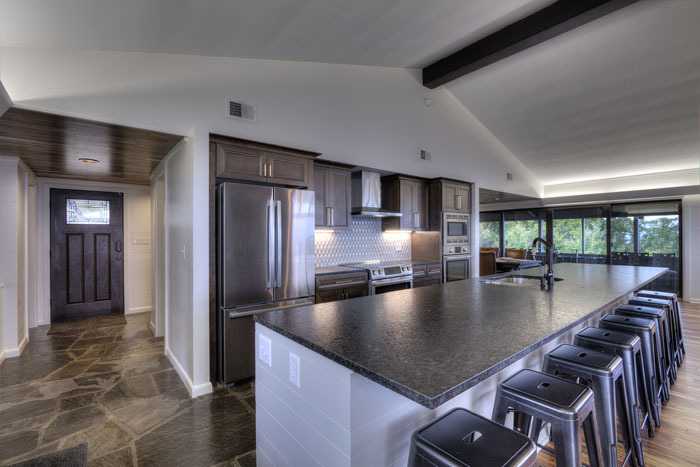 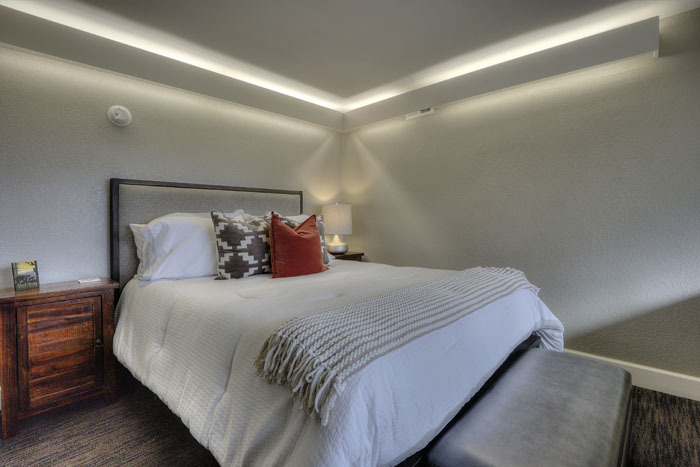 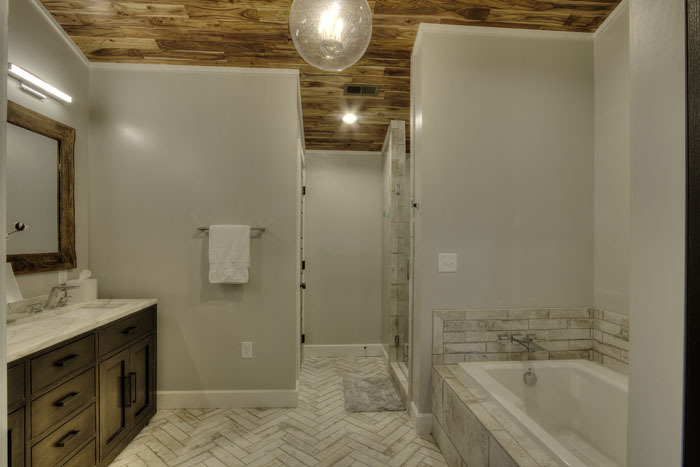 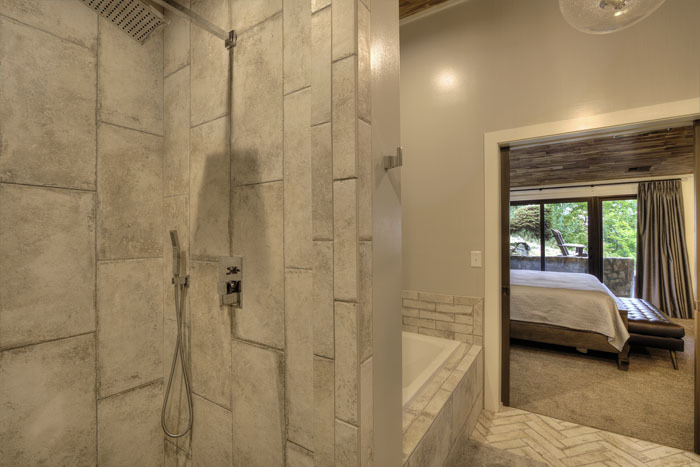 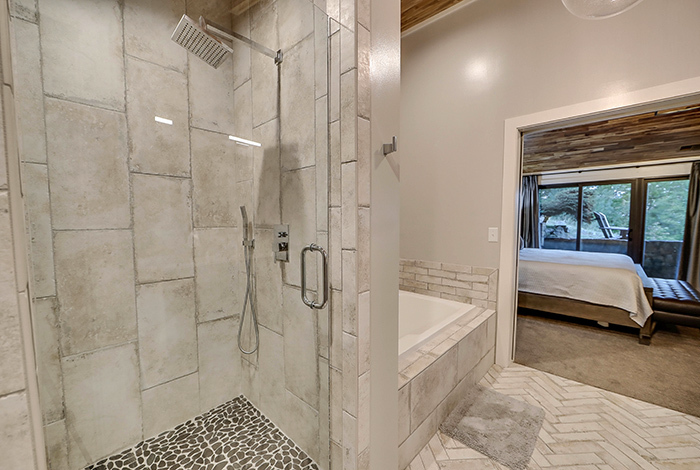 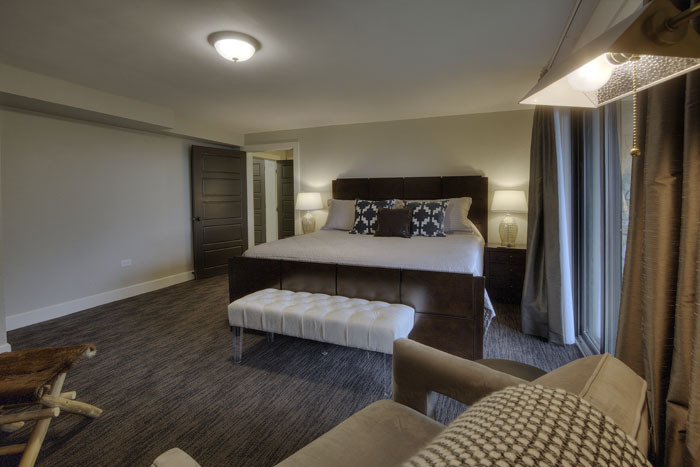 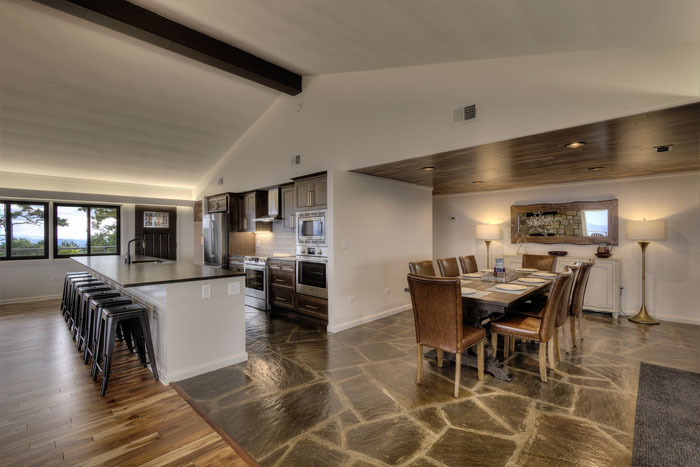 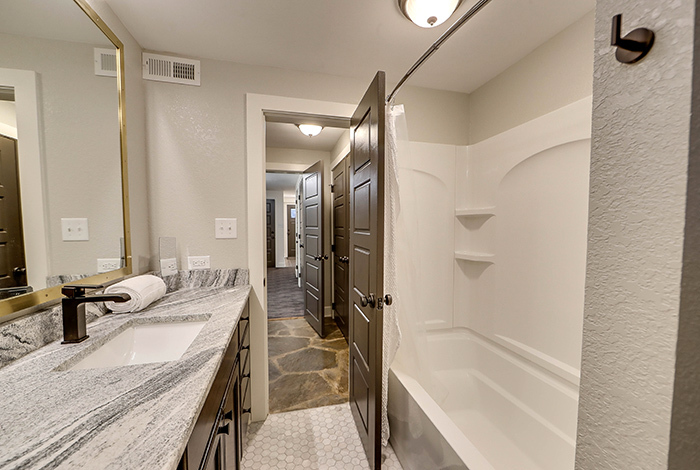 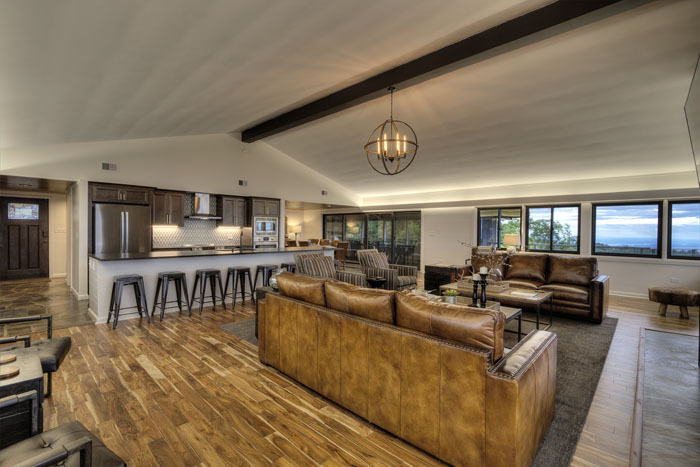 It has been completely restored with careful attention to every detail, adding modern finishes and upgrades while maintaining the integrity of the original design. 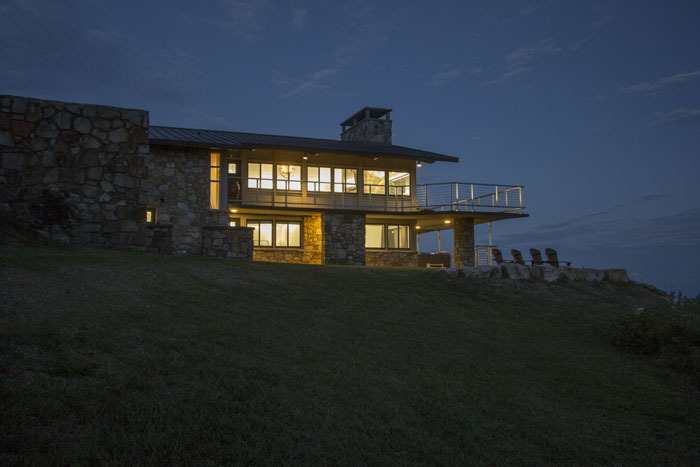 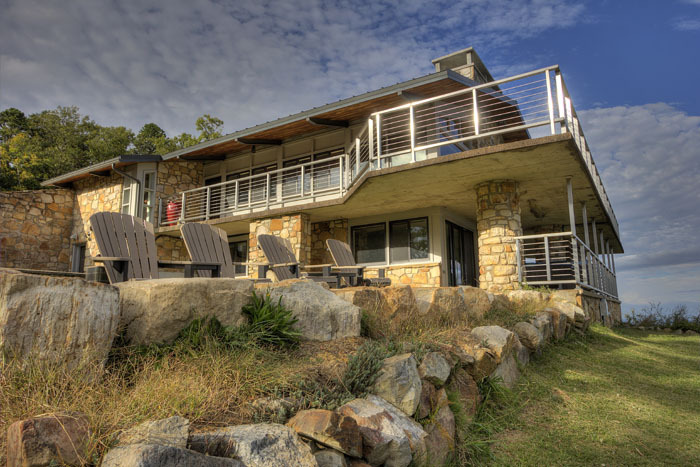 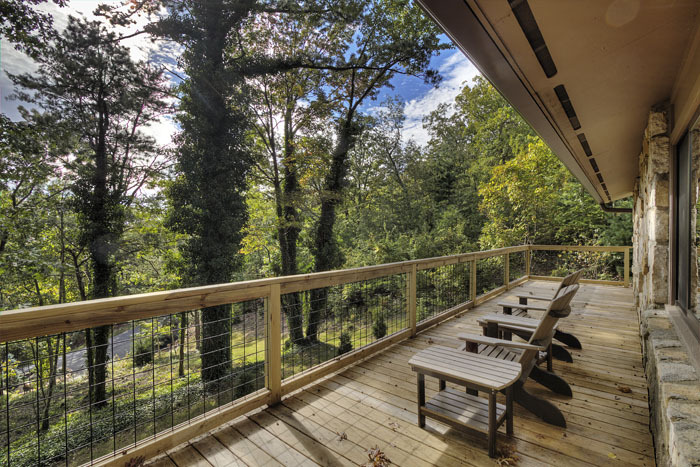 This gorgeous home adjoins a 3,000-acre Nature Preserve, offering an abundance of wildlife and complete peace and tranquility. 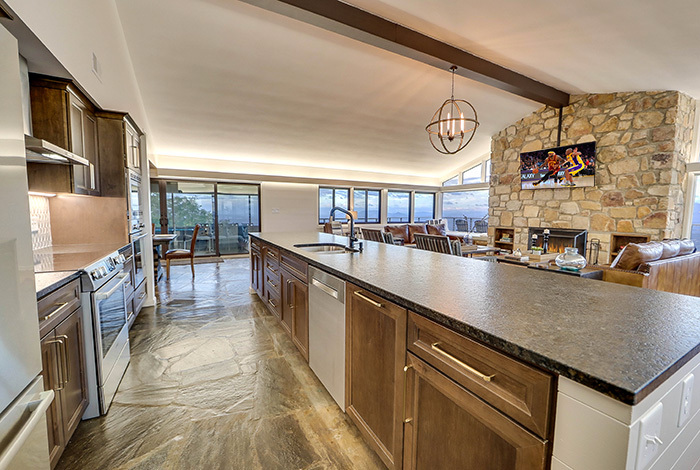 This private estate offers 6 bedrooms and 5.5 baths in the main home. 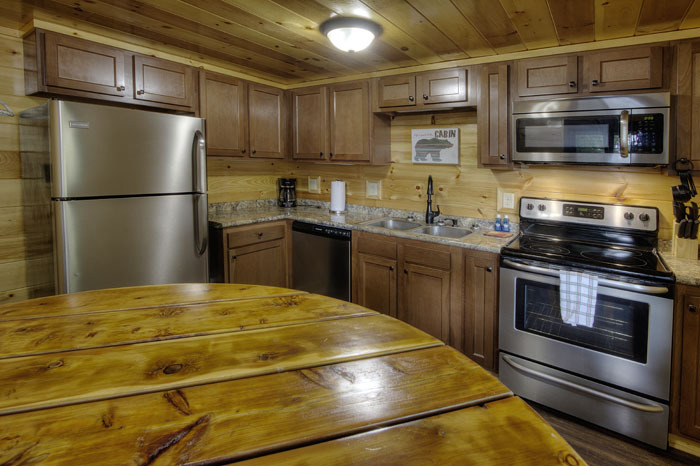 The two Guest Homes offer 5 bedrooms, 3 bathrooms, and a separate kitchen. 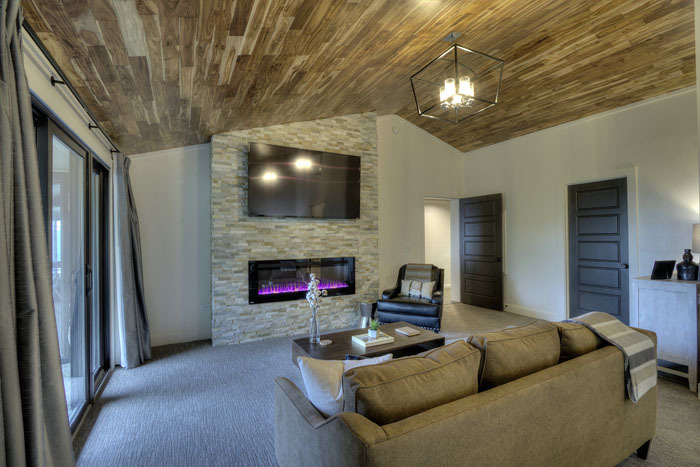 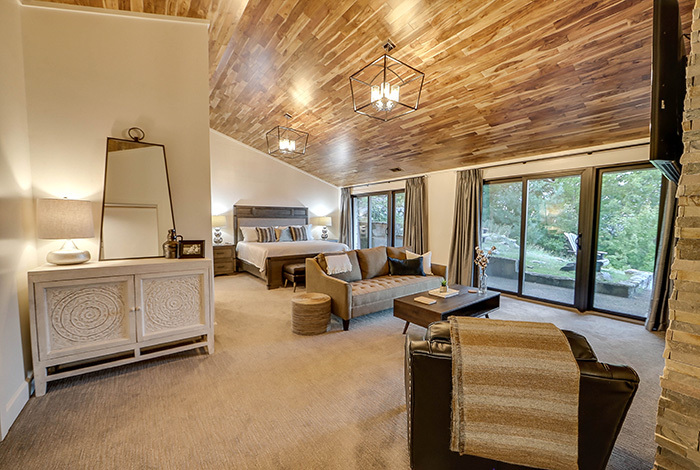 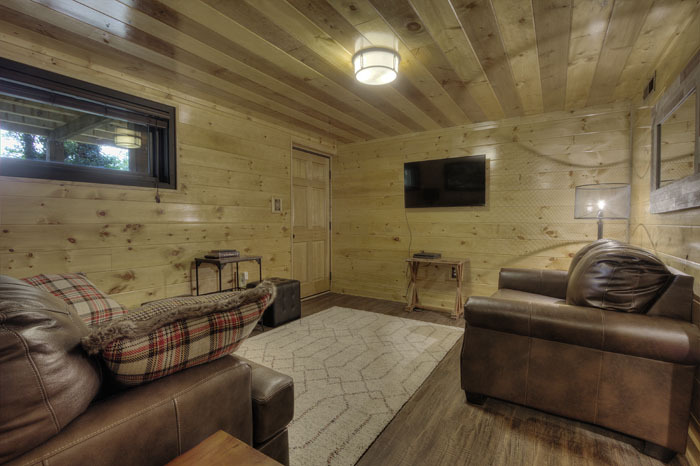 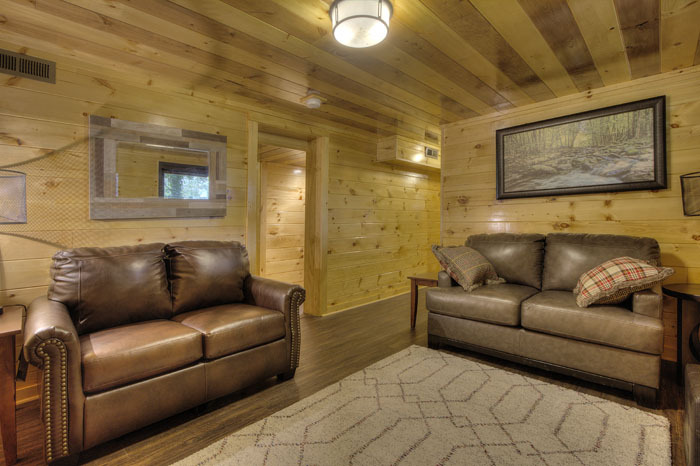 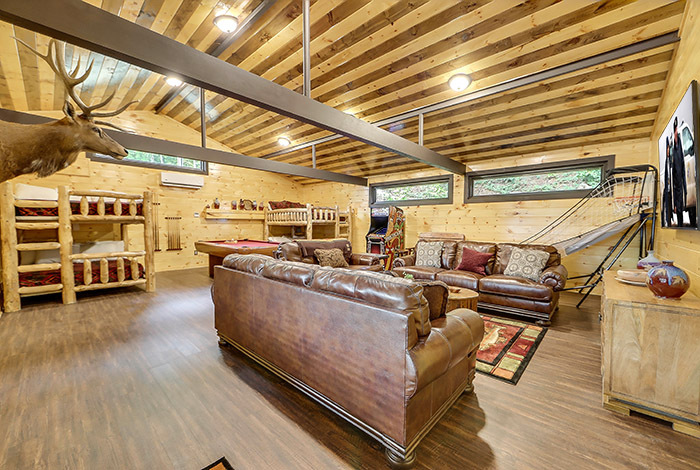 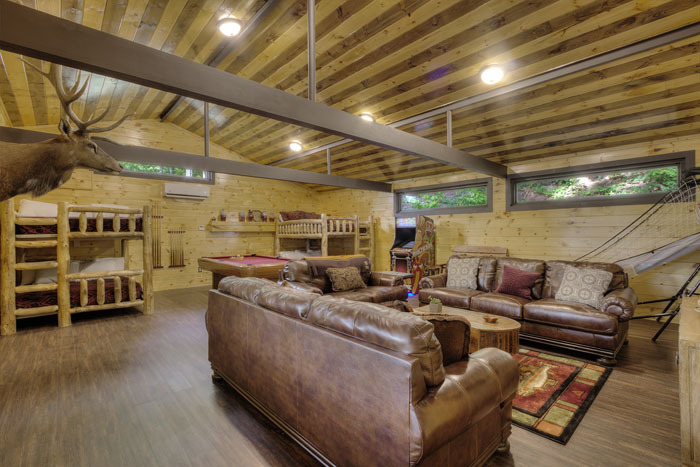 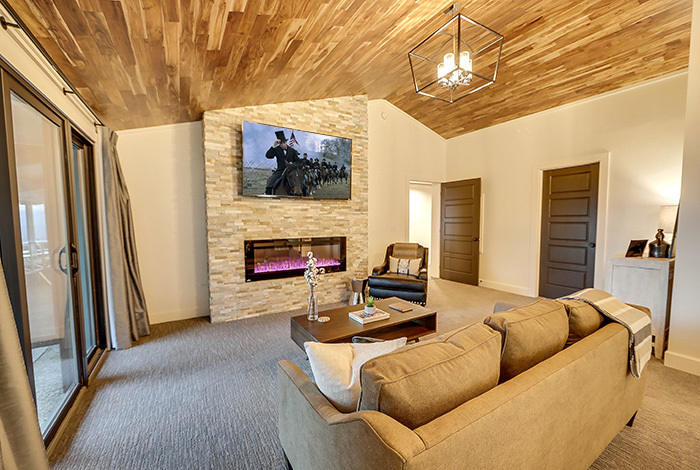 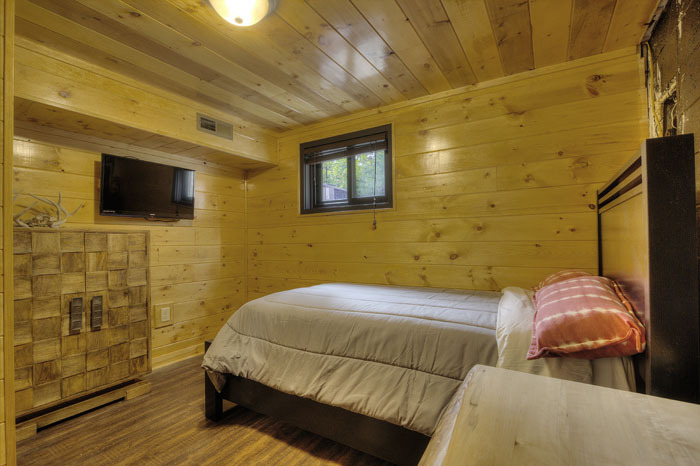 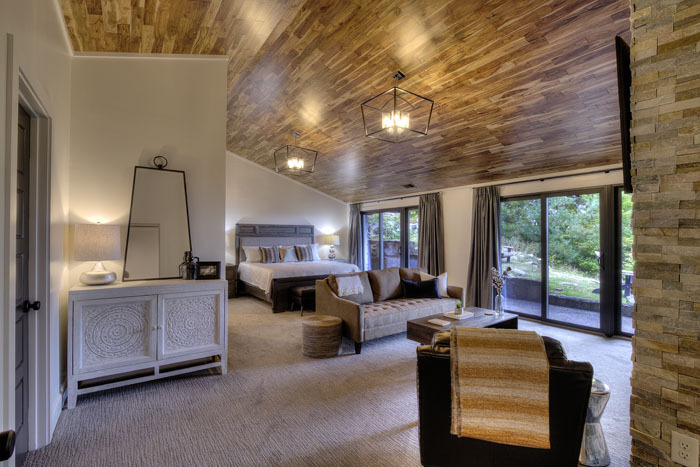 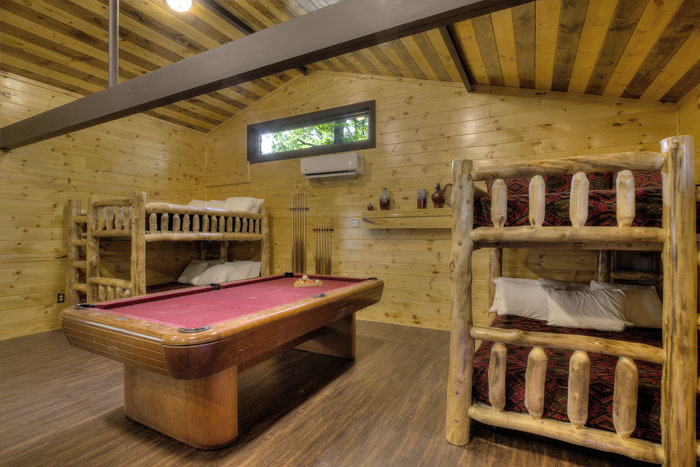 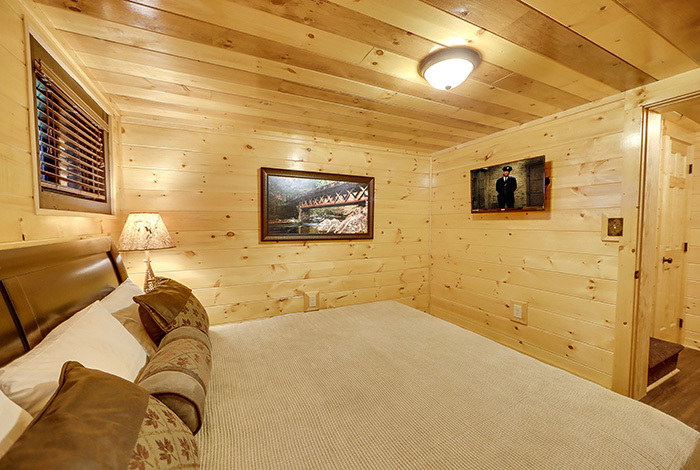 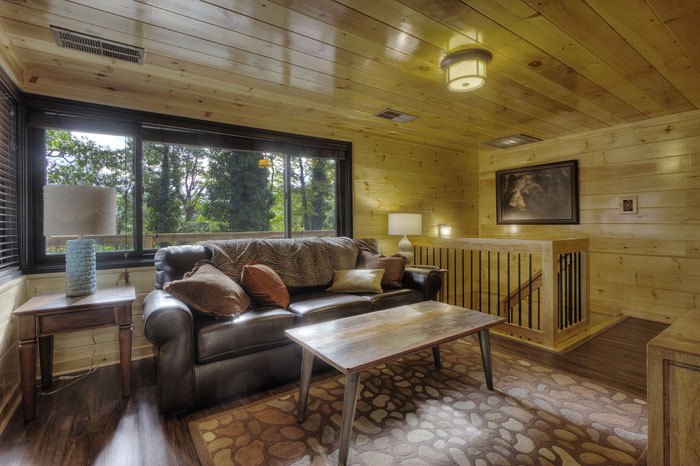 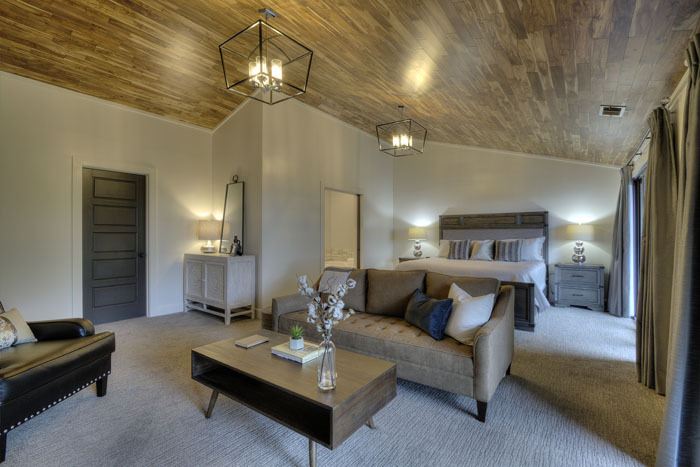 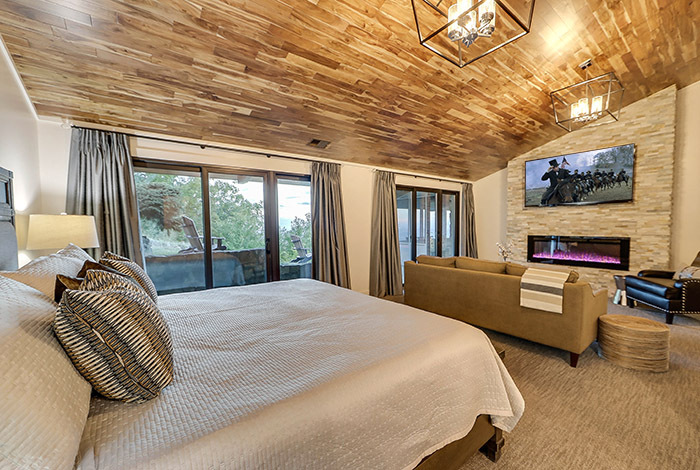 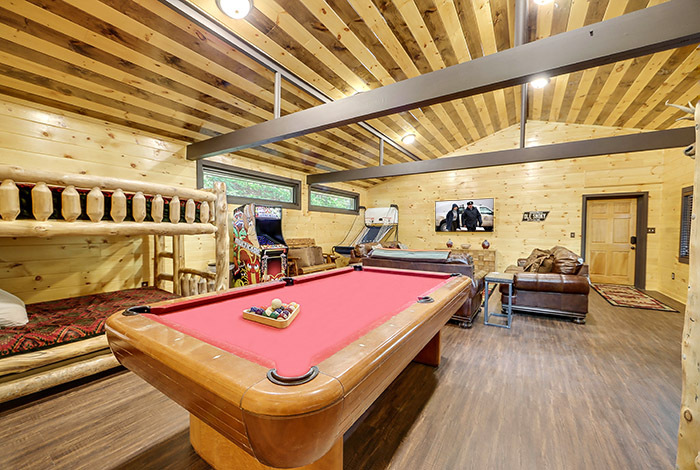 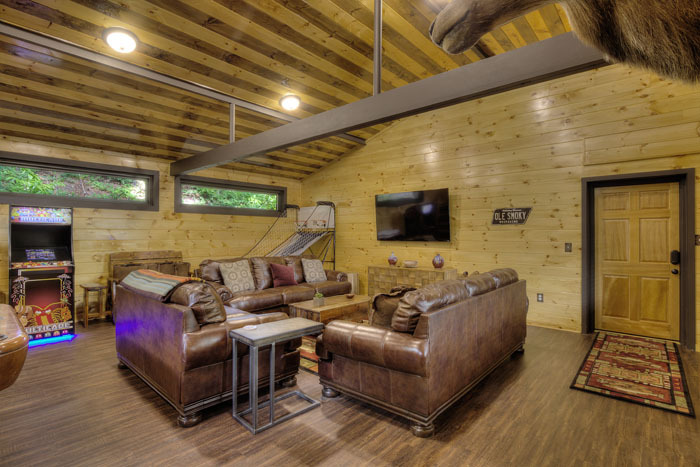 Next to the Guest Homes you will find a spectacular Game Room and Theater Cabin- perfect for watching movies, sporting events, and playing every type of arcade game your heart could desire. 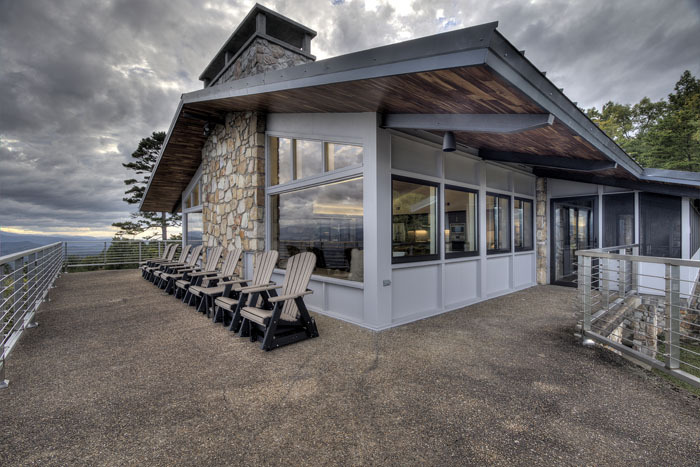 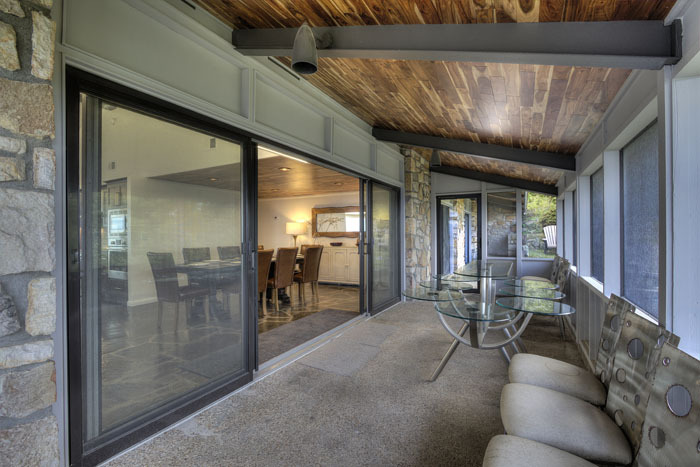 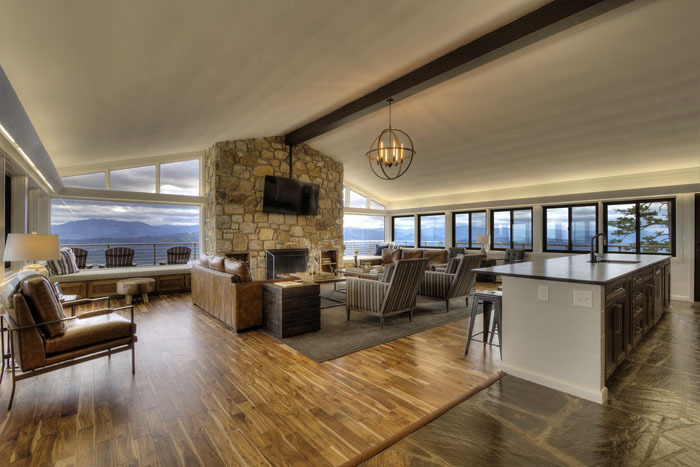 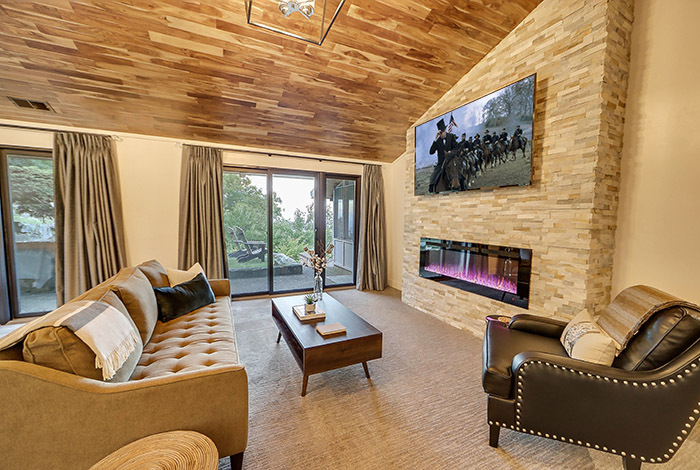 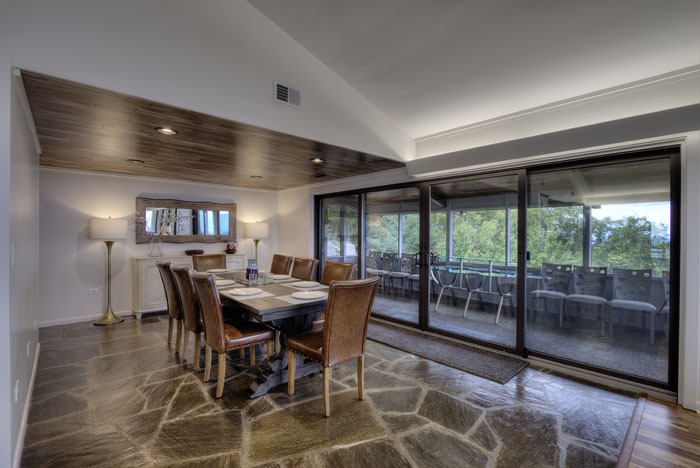 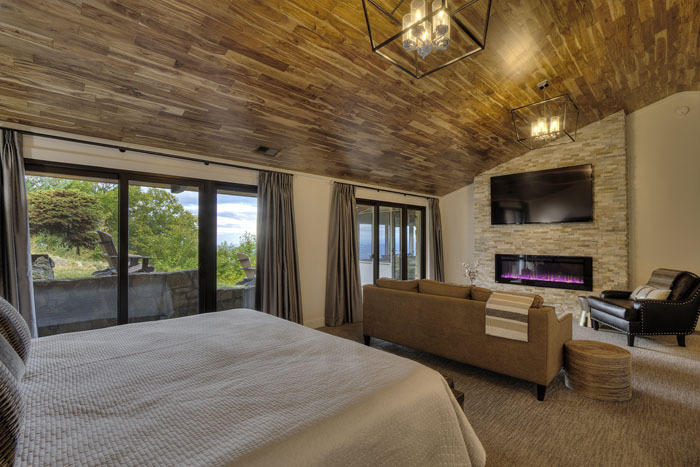 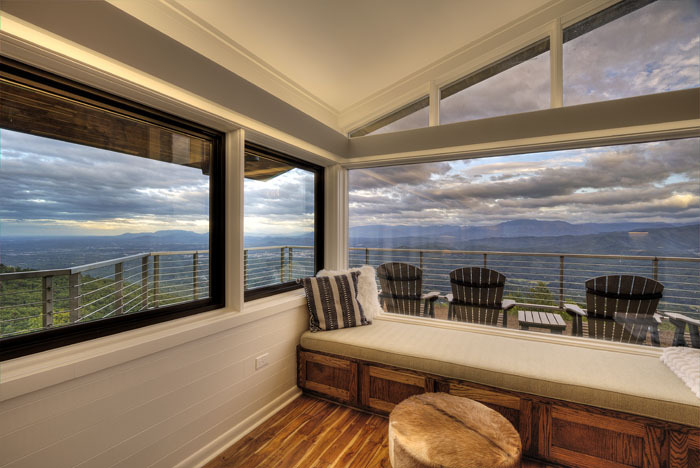 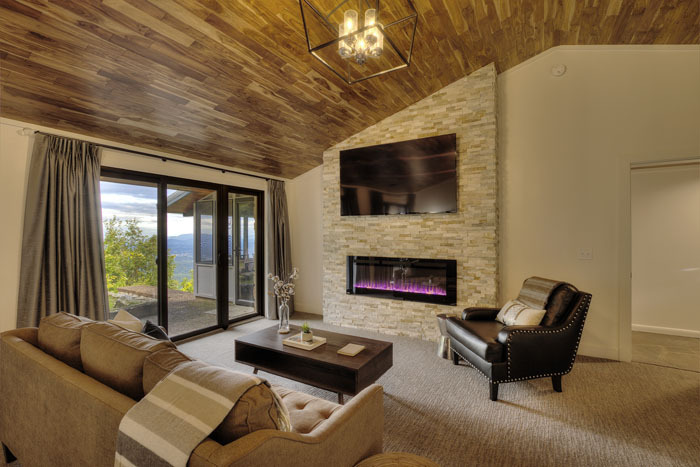 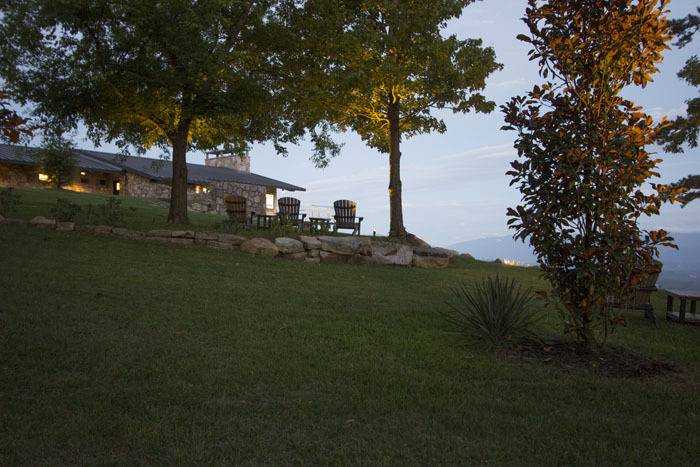 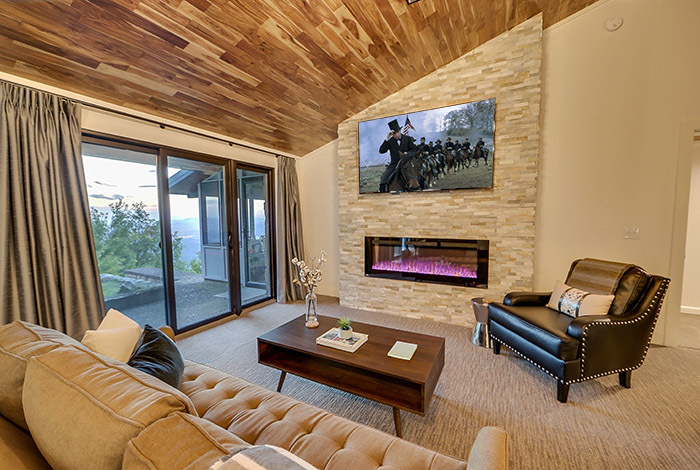 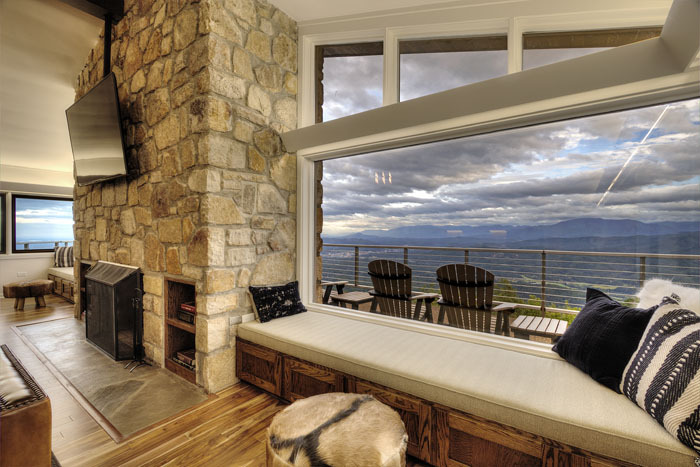 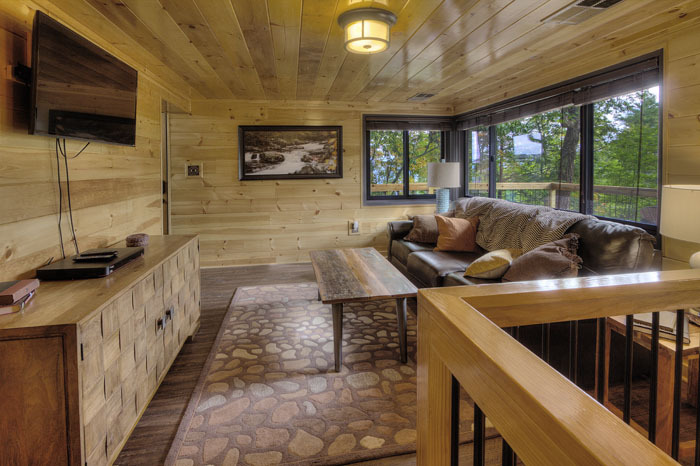 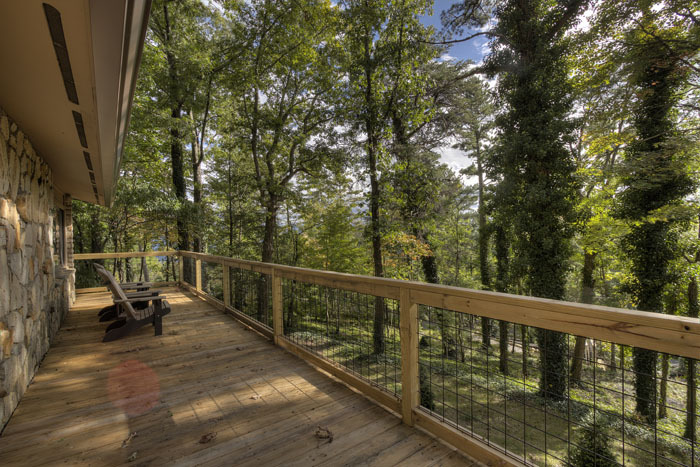 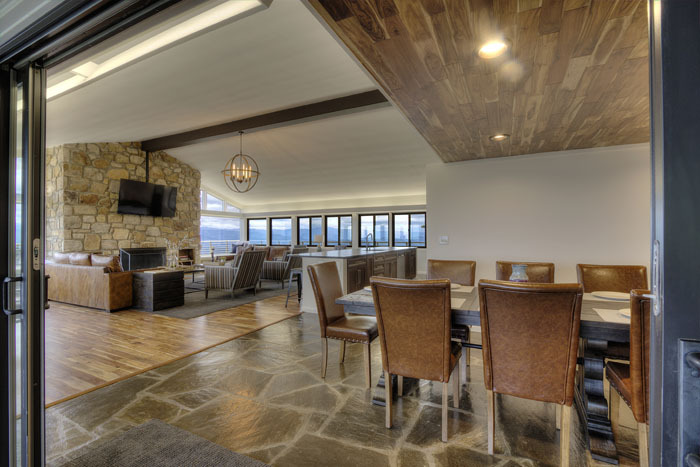 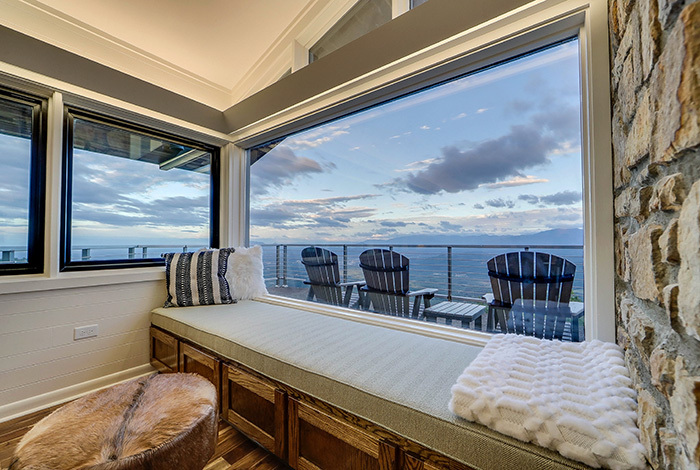 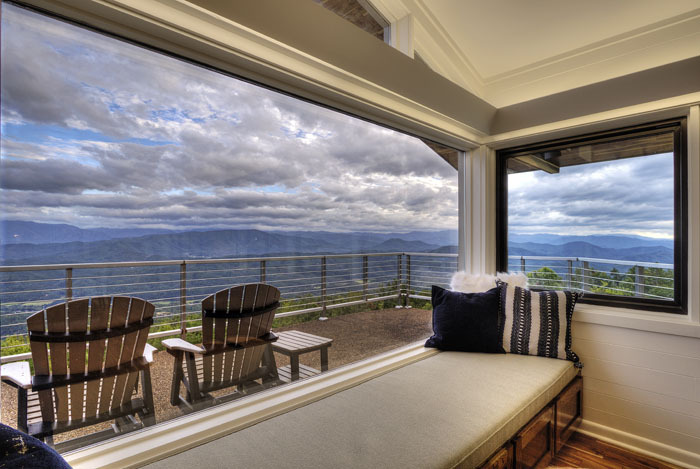 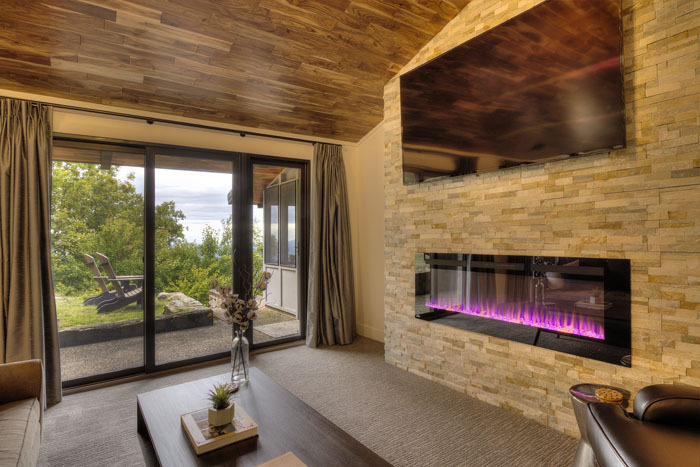 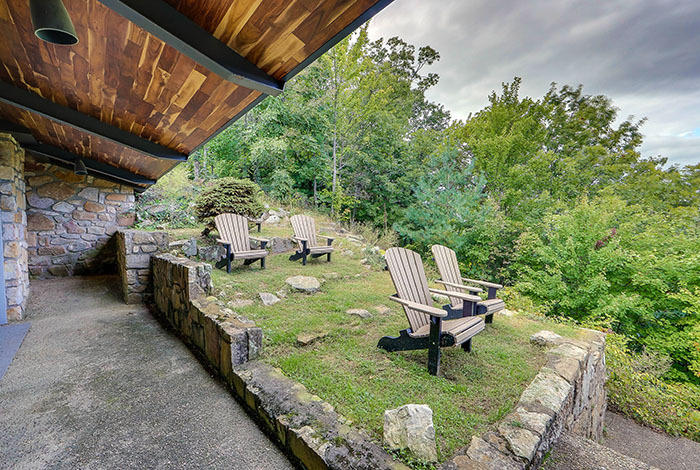 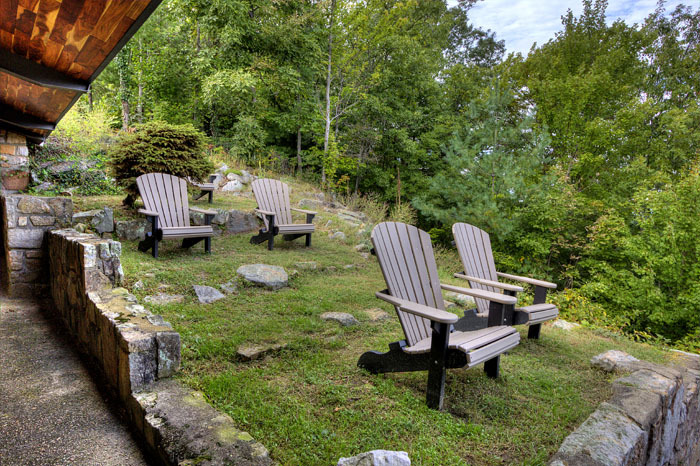 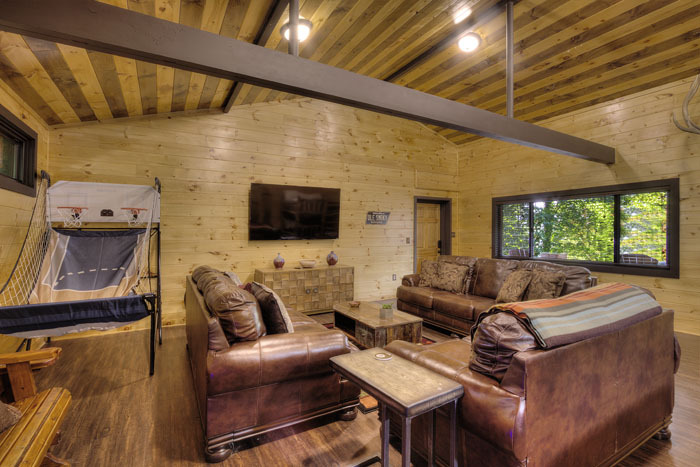 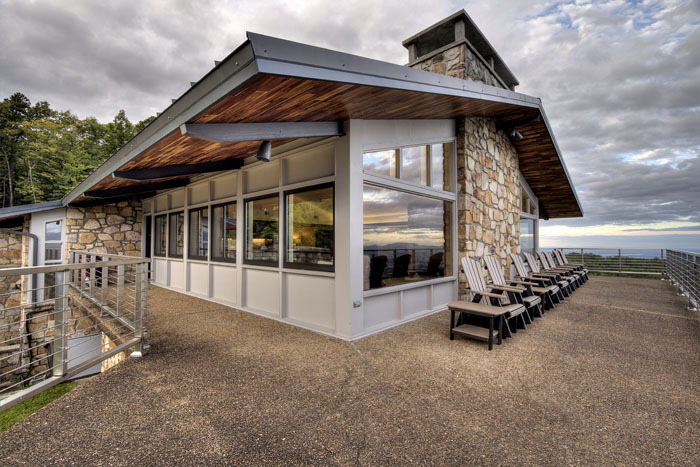 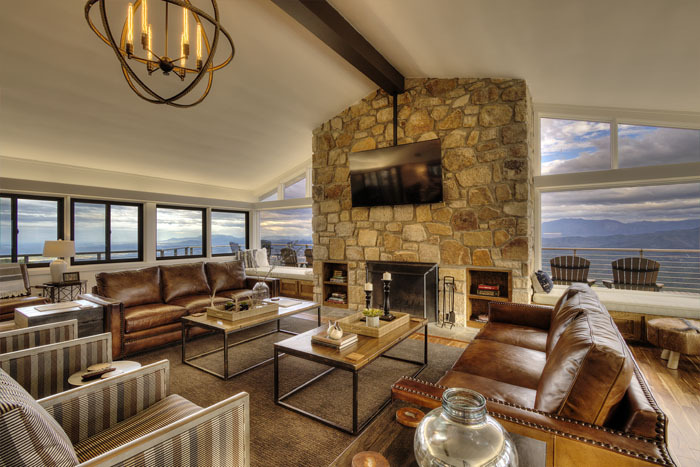 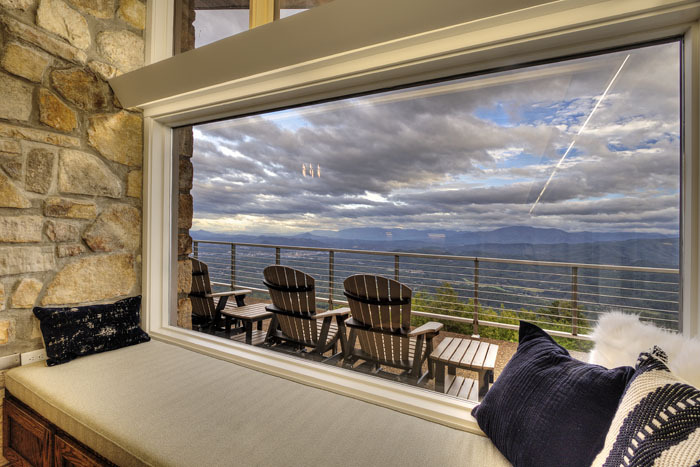 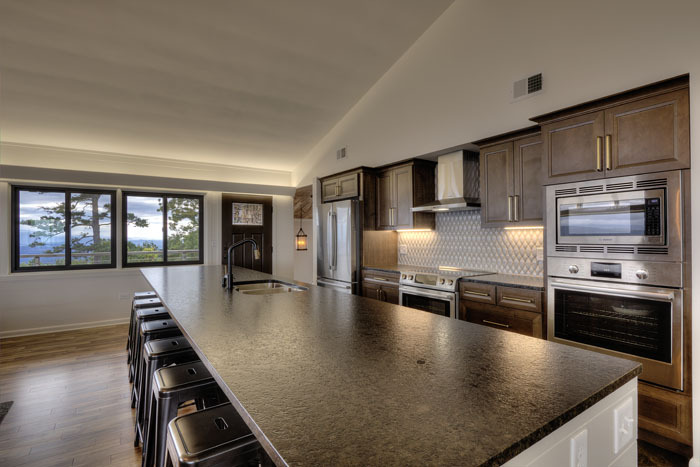 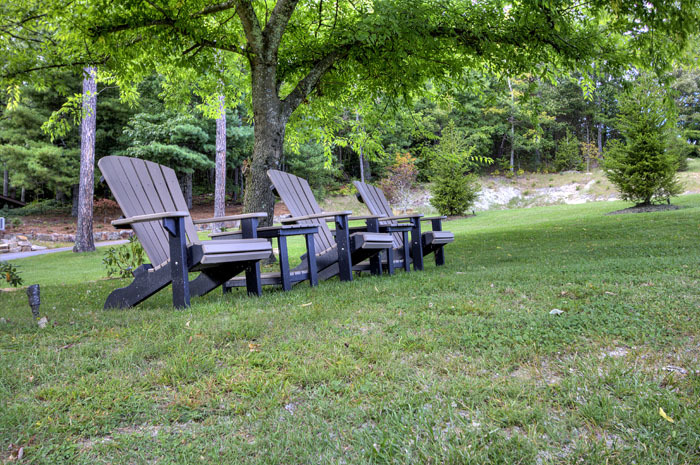 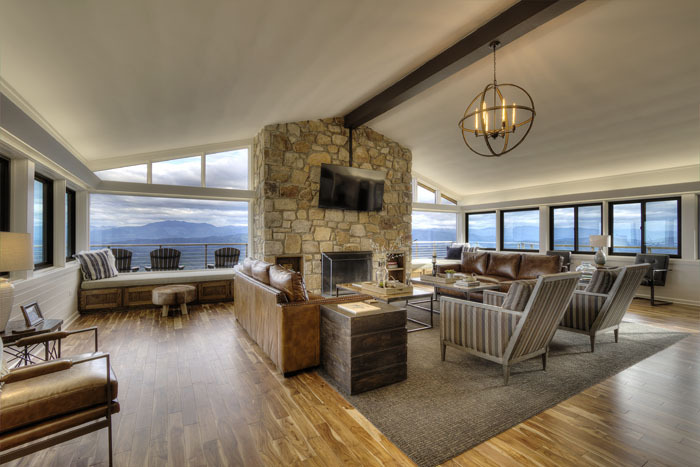 If you would like to just sit back and enjoy the spectacular views, then you will definitely enjoy hanging out in The Pavilion- featuring a gas fire pit with plenty of cozy chairs, an outdoor grill area with TV, and your very own outdoor game room! 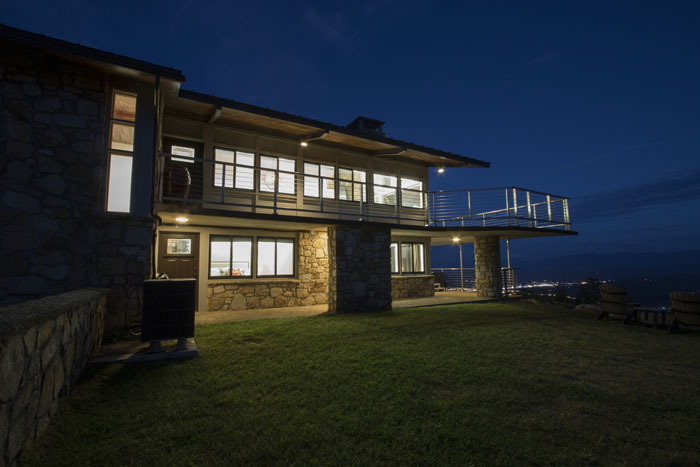 If a beautiful luxury home with panoramic views is what you are looking for, then look no further than "Top Of The World Estate"! 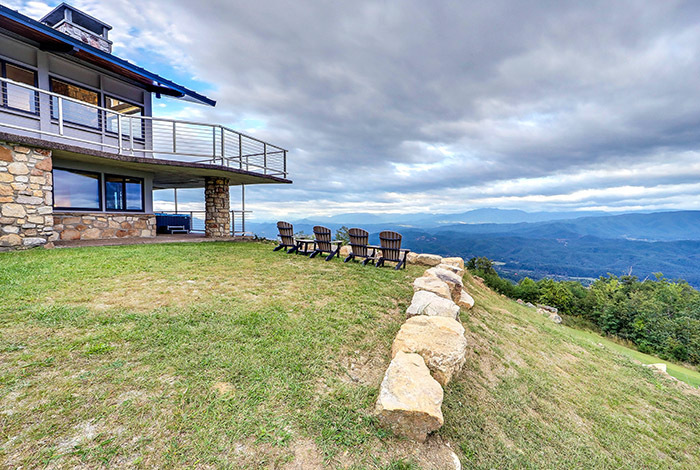 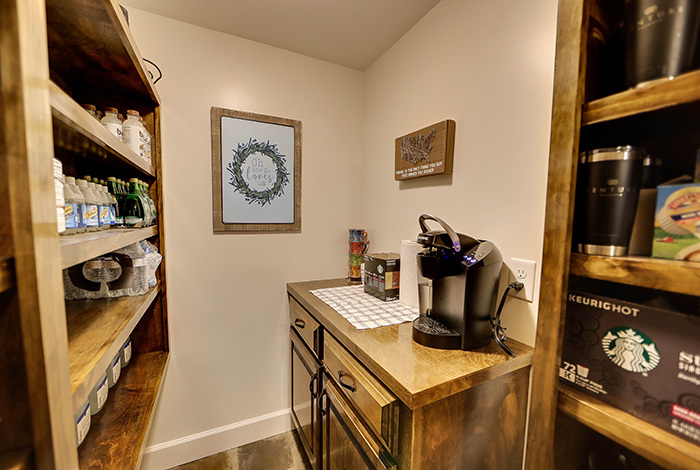 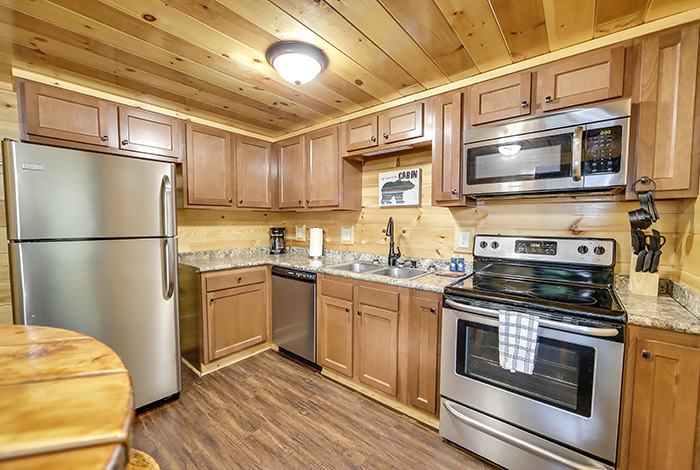 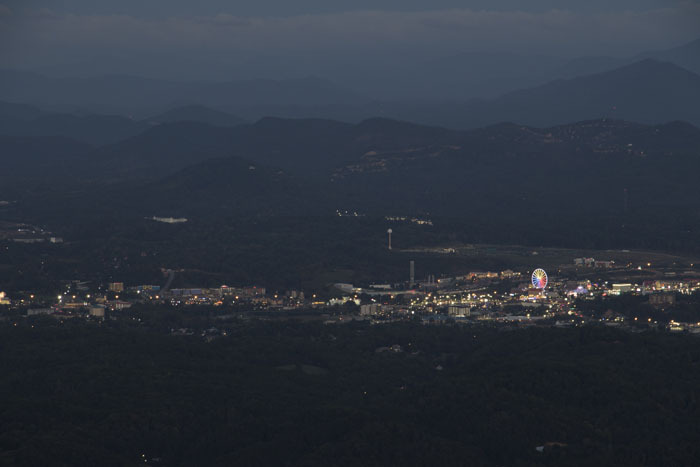 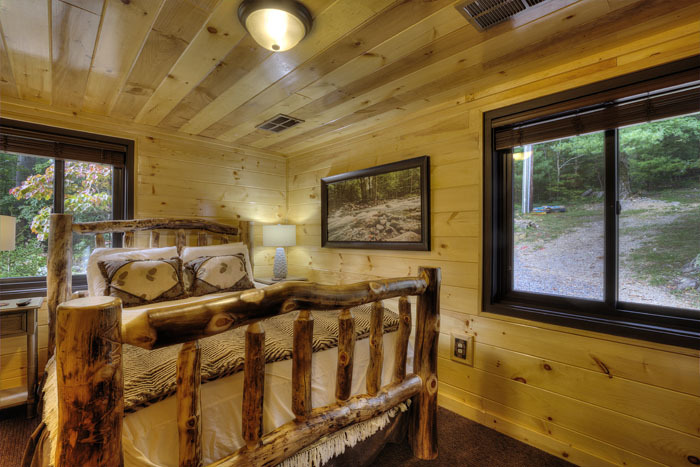 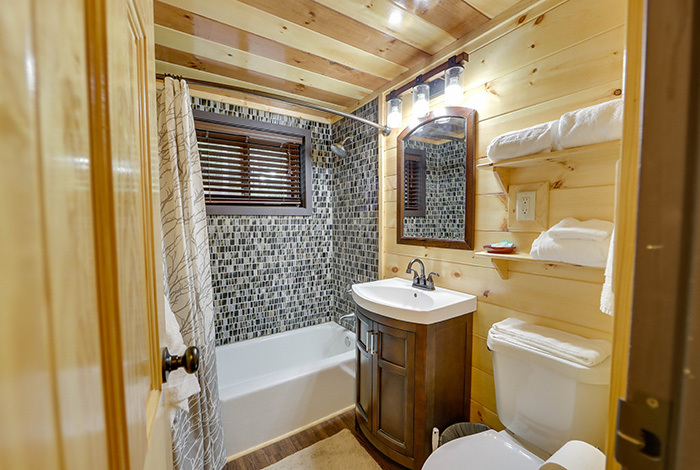 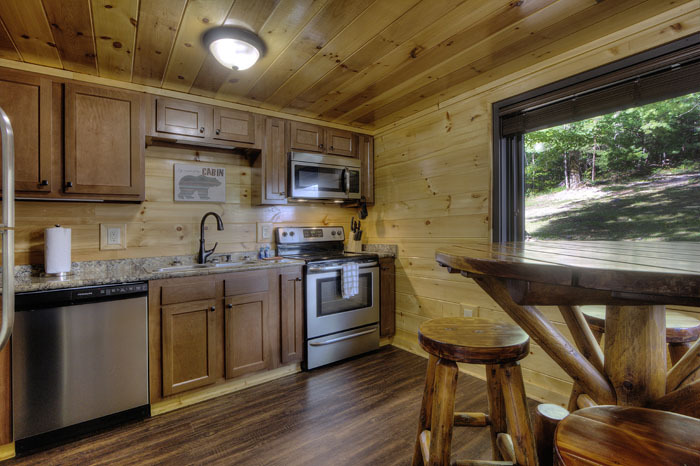 "Top Of The World Estate" is just 10 minutes away from downtown Pigeon Forge where you can enjoy all the area has to offer. 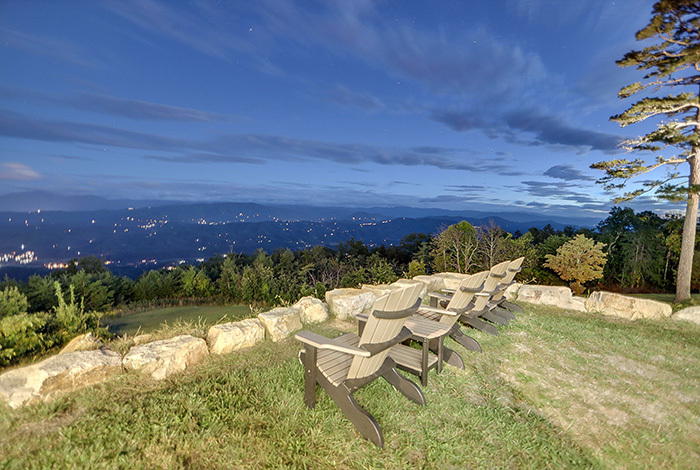 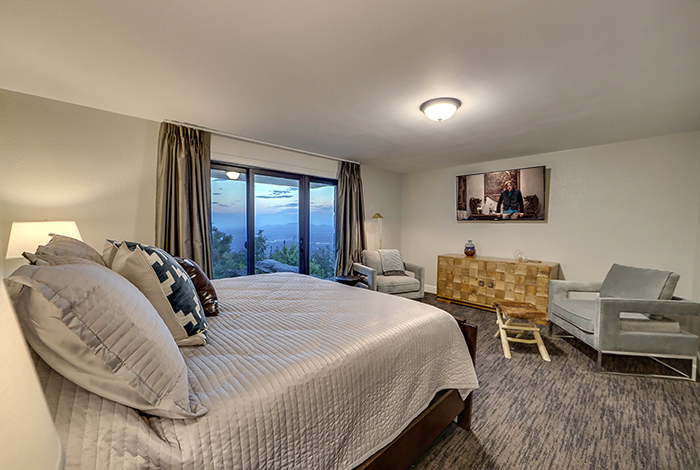 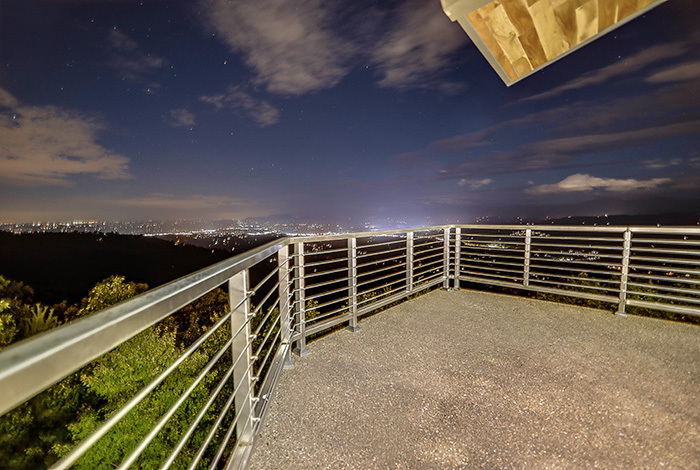 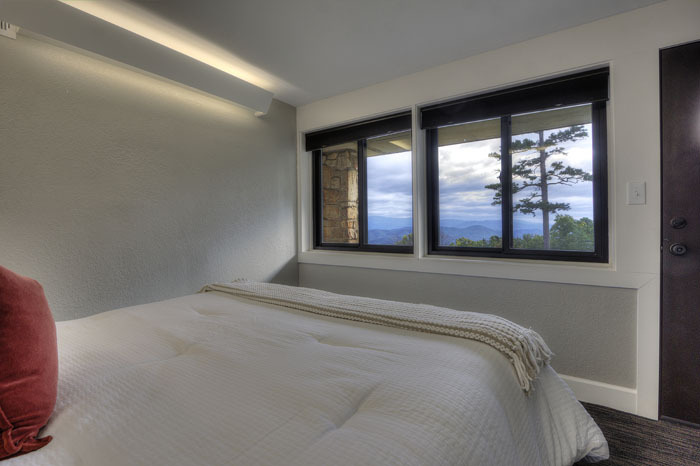 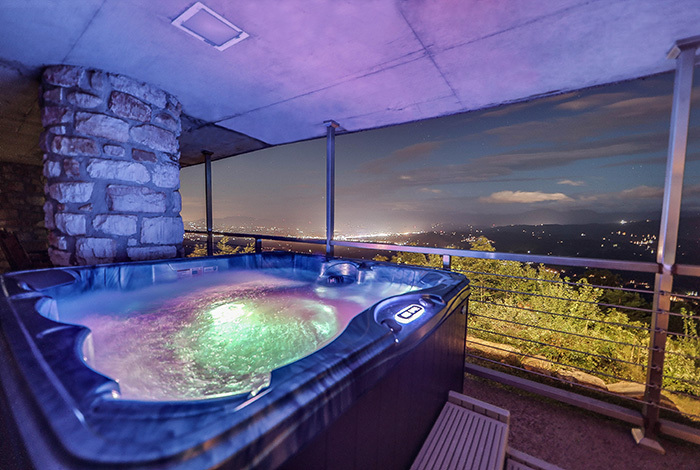 When you are done with all of the tourist activities for the day, retreat to your very own mountaintop sanctuary and watch the spectacular night lights come alive on the valley floor below. 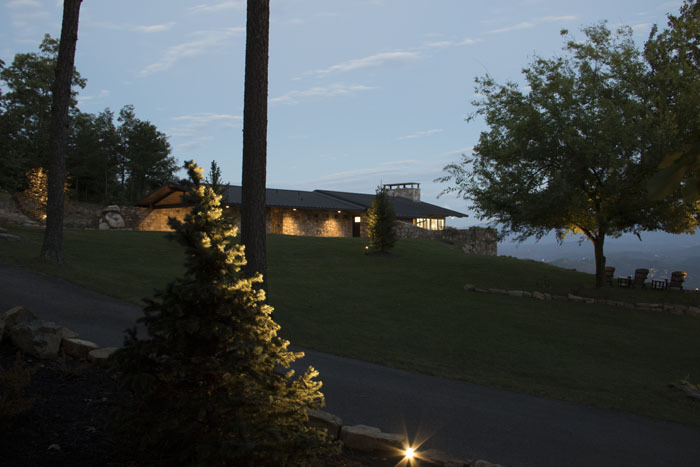 This is a multi-million dollar Estate, and as such, no fraternities or sororities are allowed. 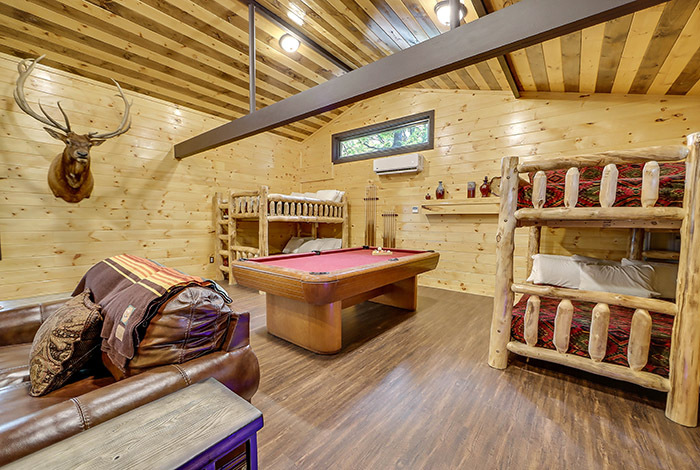 This is a non-smoking, no-pets rental, and there is a very strict no-frat/sorority policy enforced on this home. 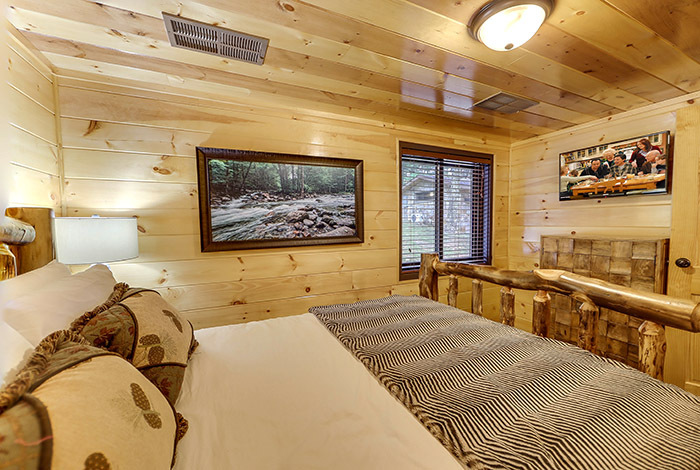 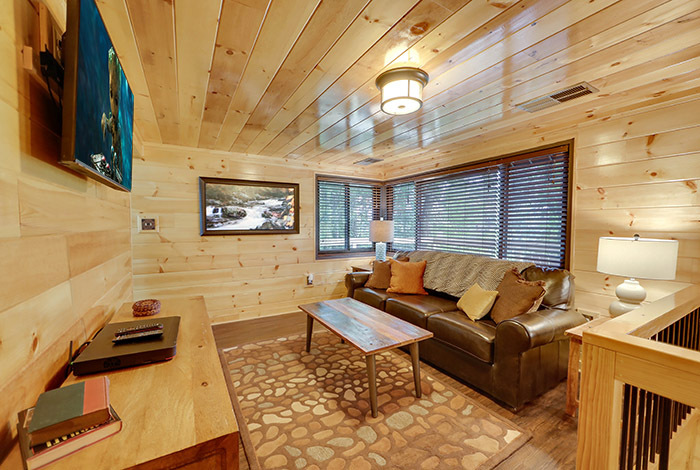 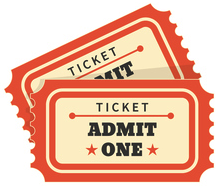 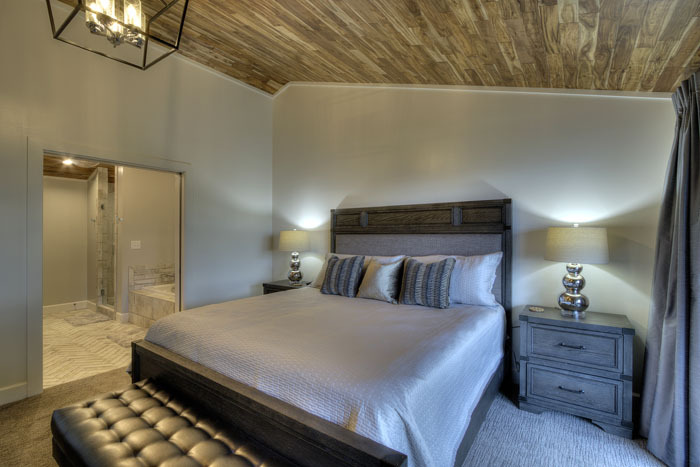 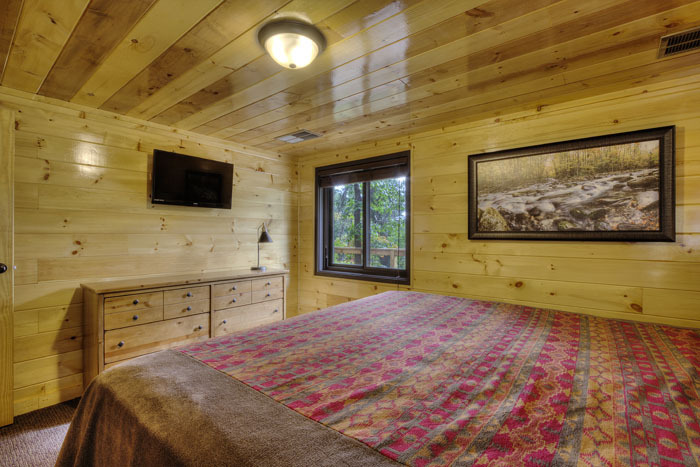 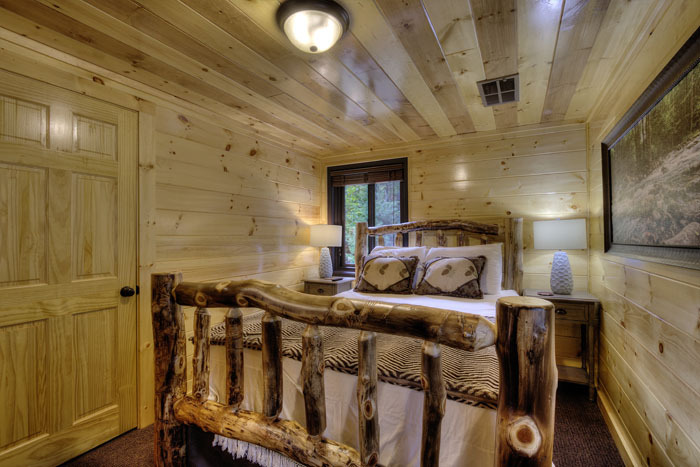 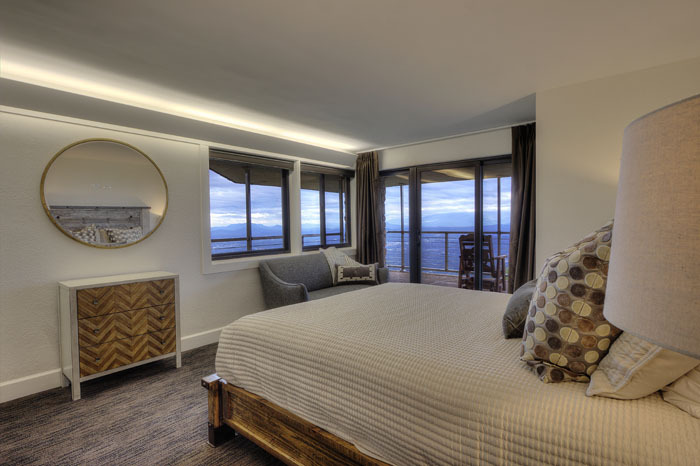 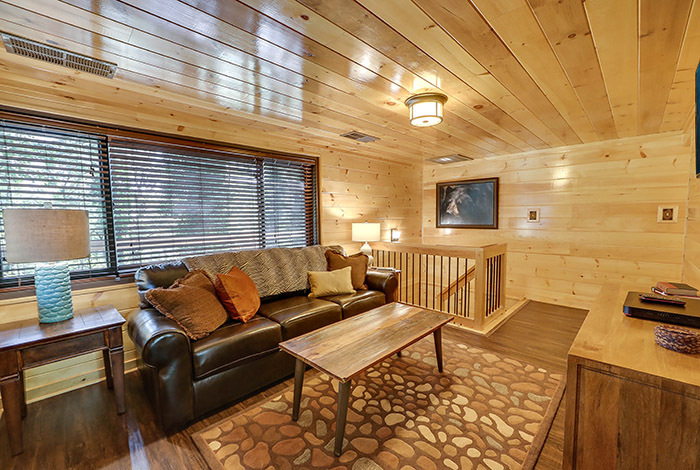 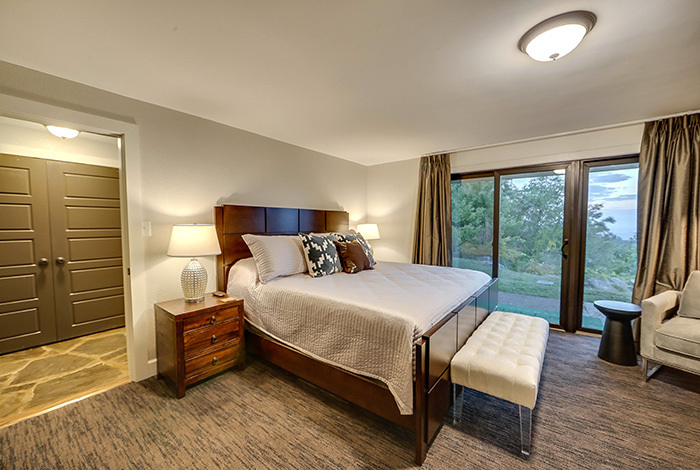 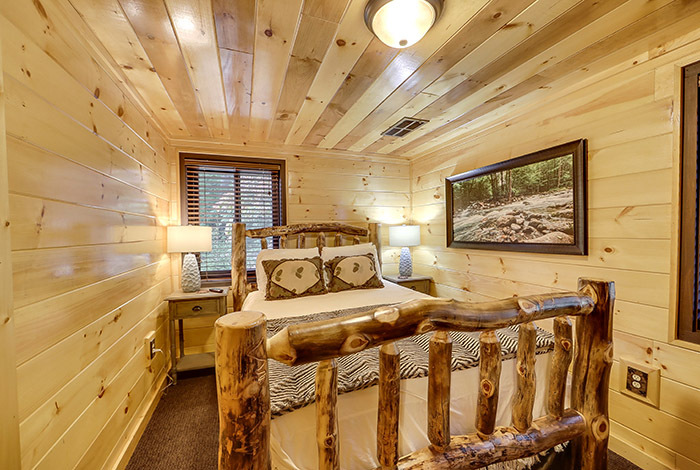 Book this home early- it's a guest favorite and books well in advance with repeat visitors!